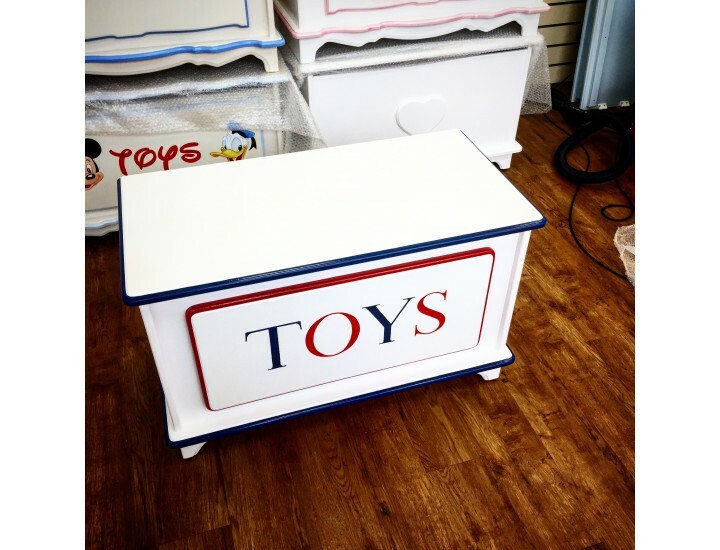 Toybox 2ft Plain & Simple For Little Stars! 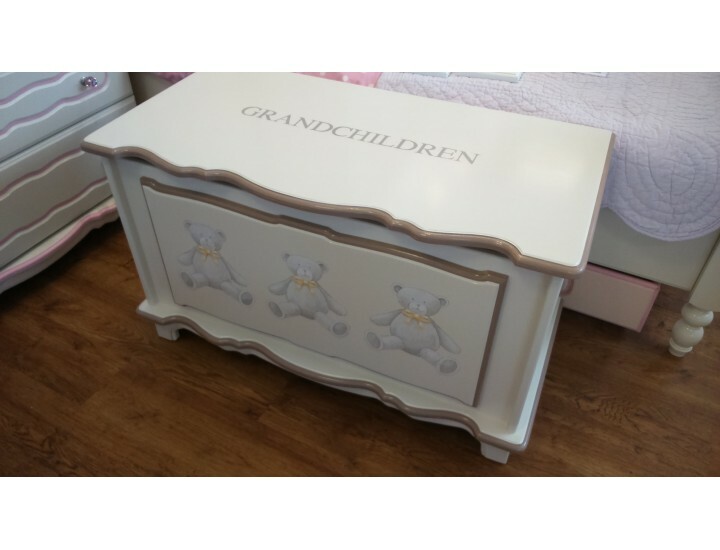 Toybox 3ft Grandchildren Toy Storage! 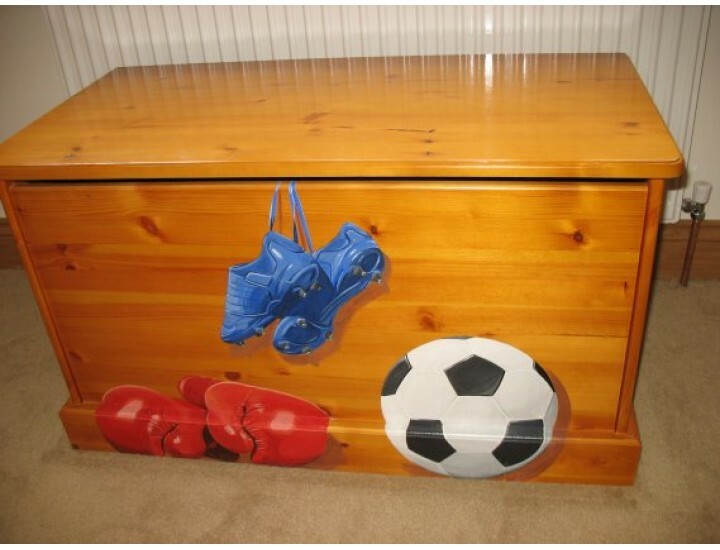 Toybox 3ft Twins Portraits - Stunning! 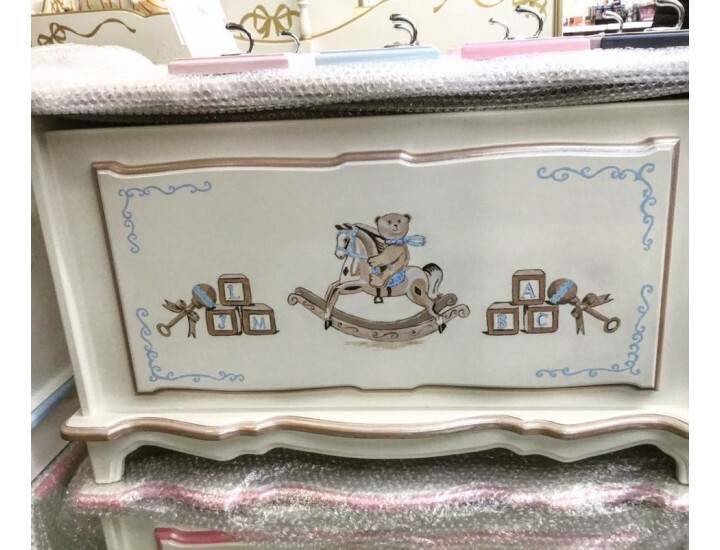 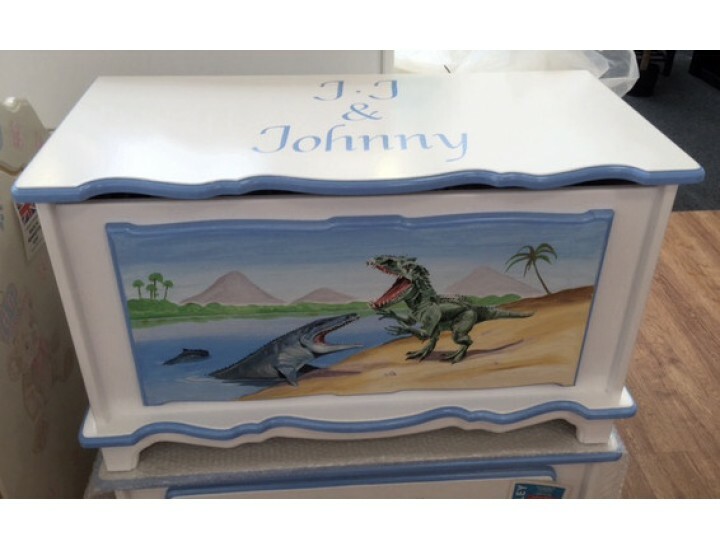 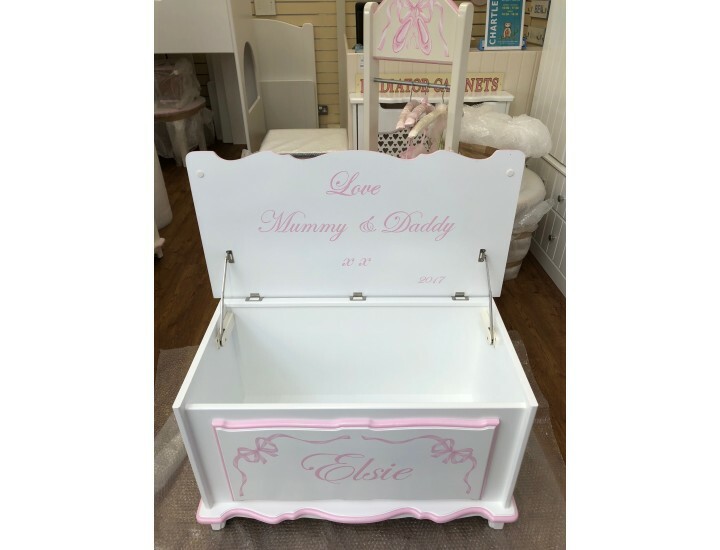 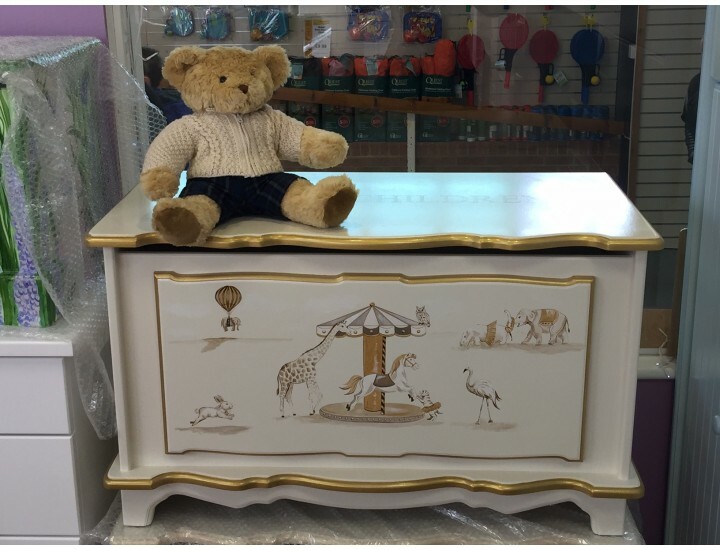 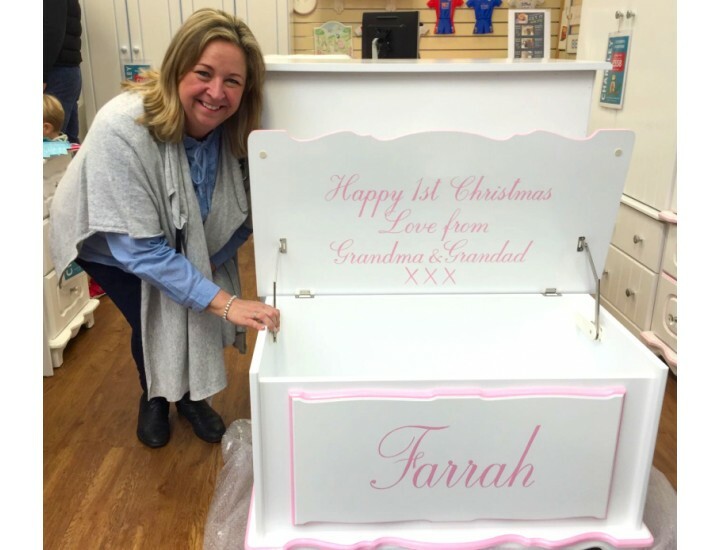 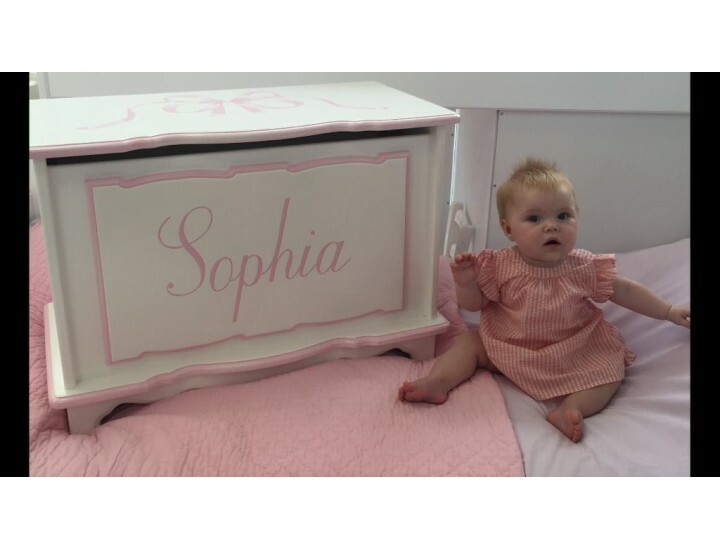 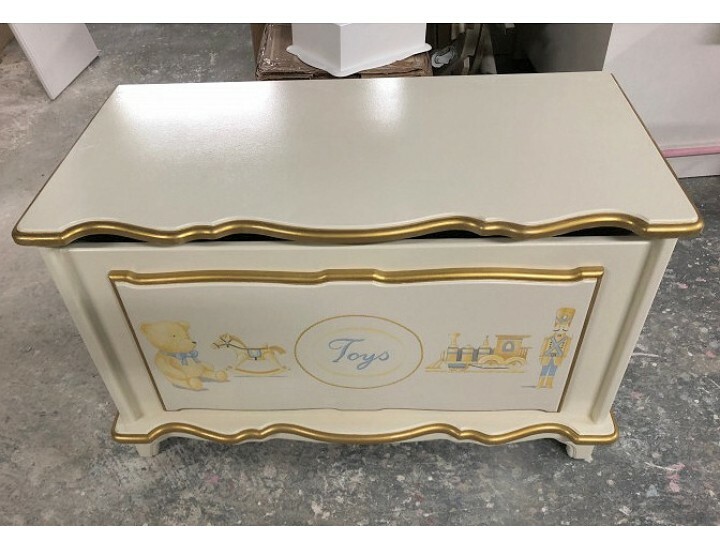 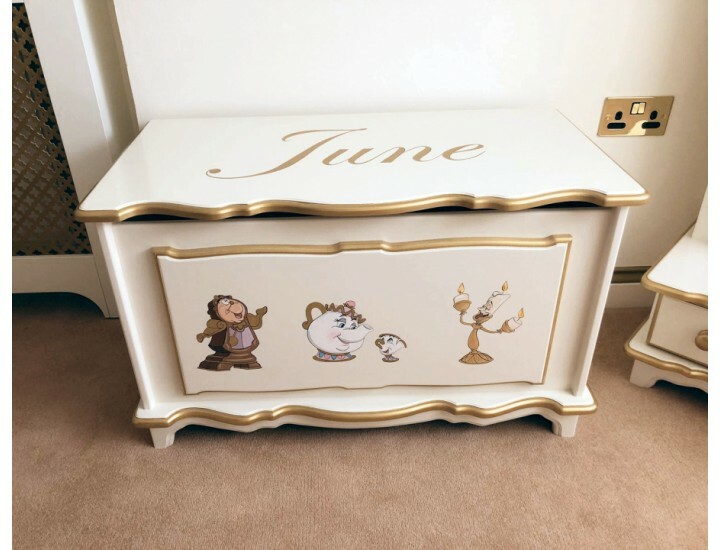 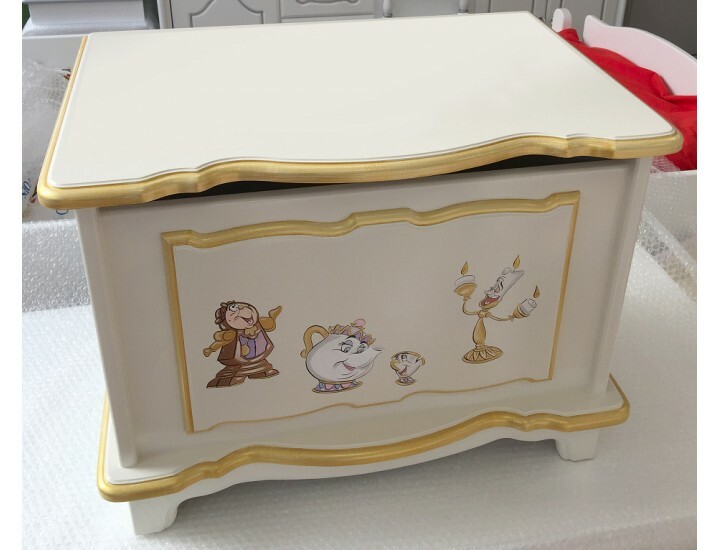 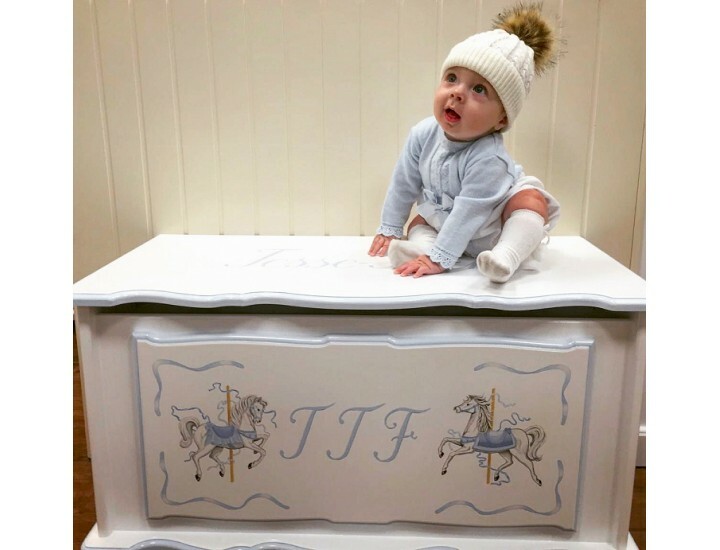 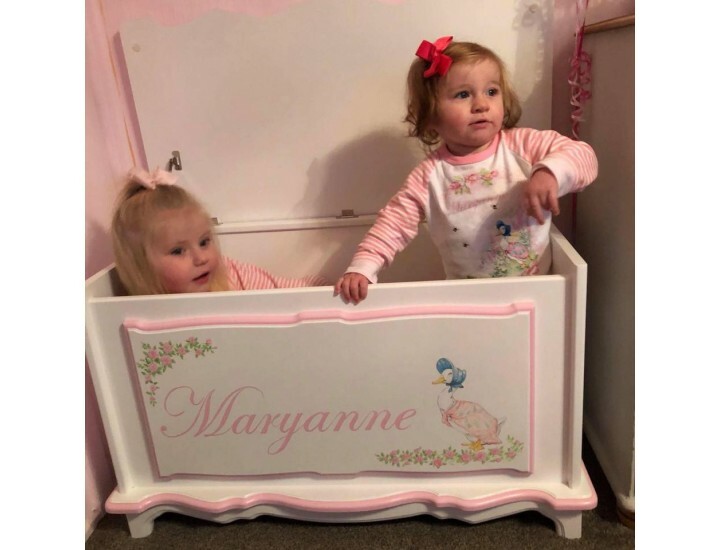 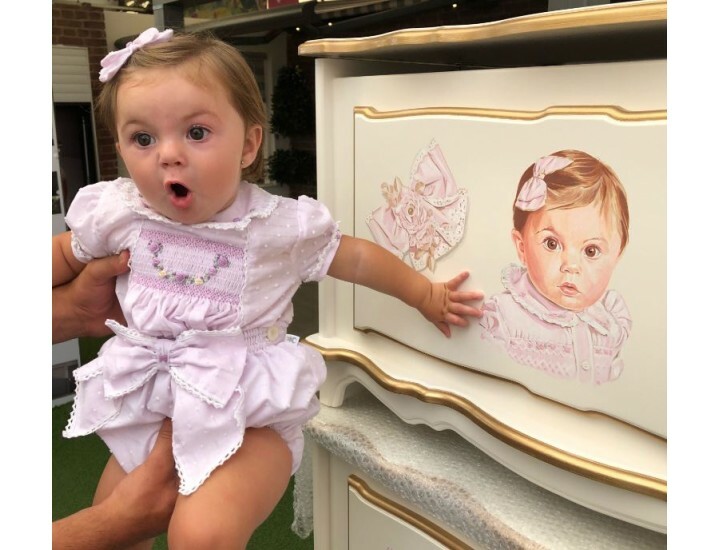 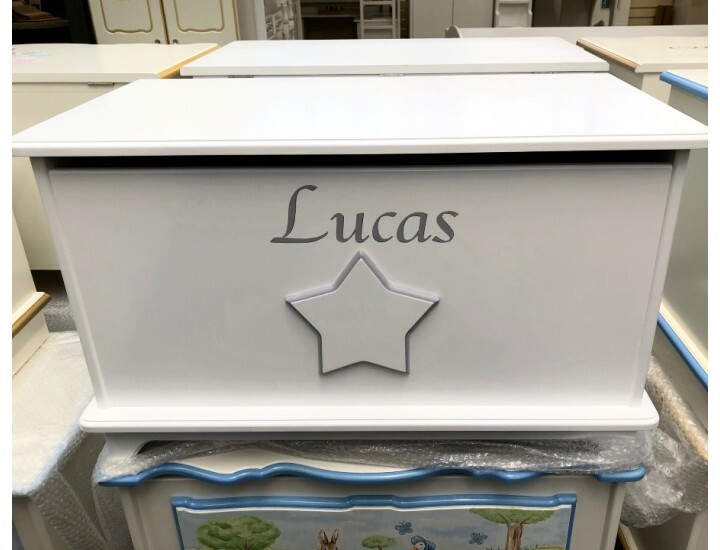 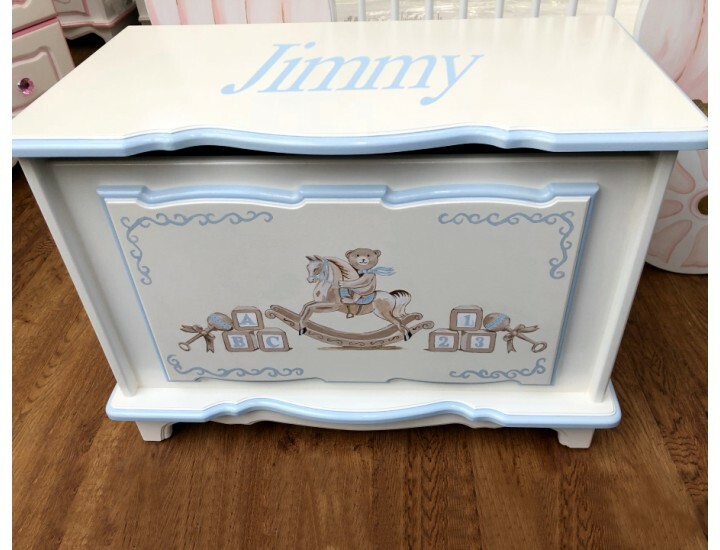 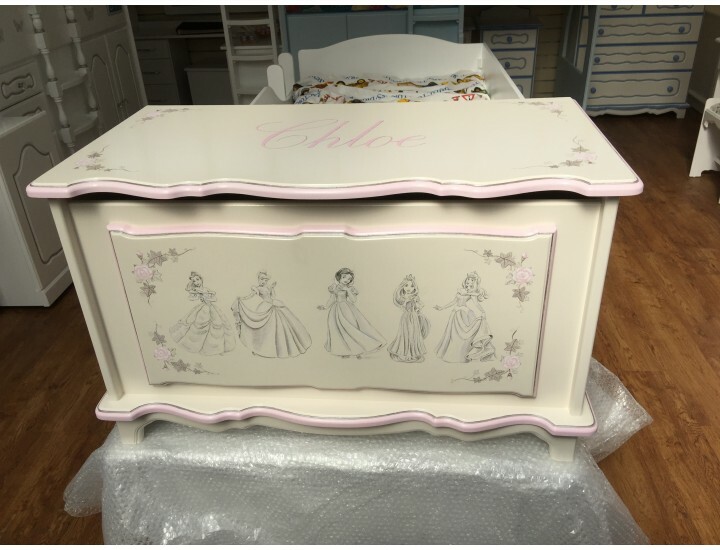 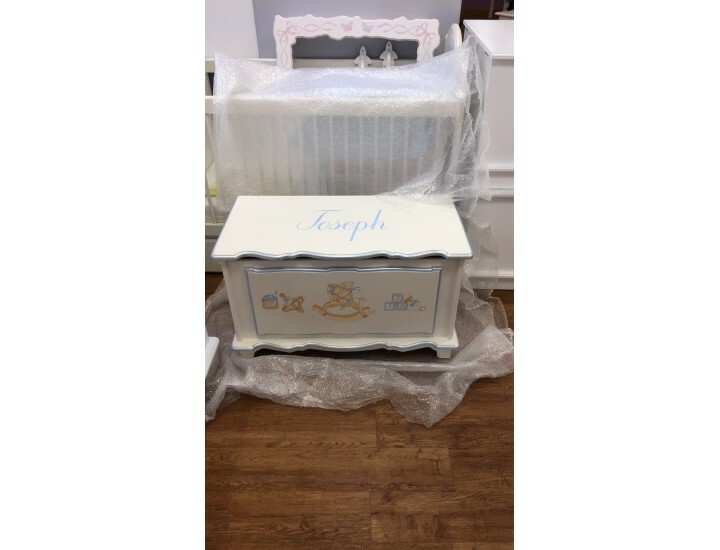 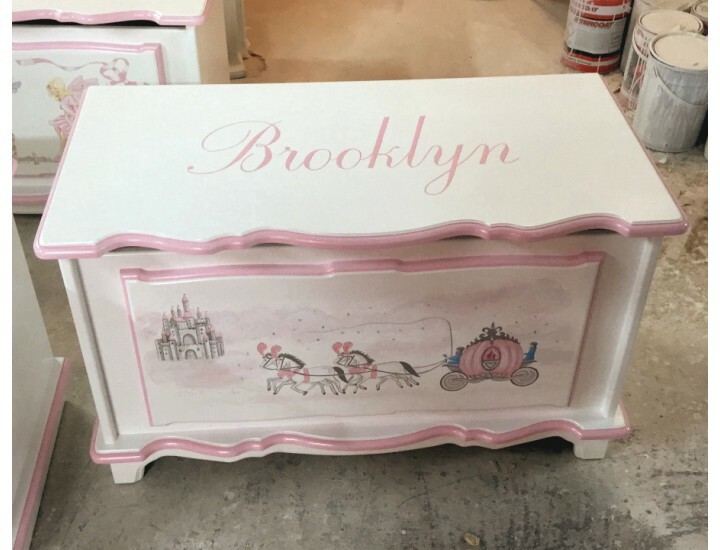 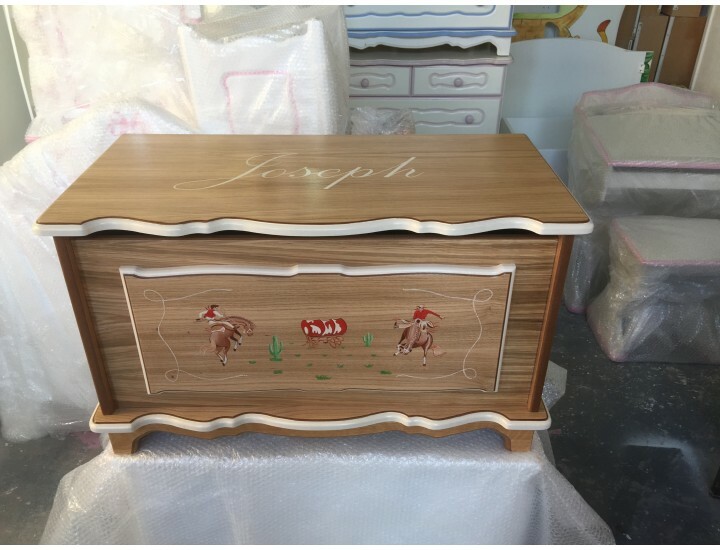 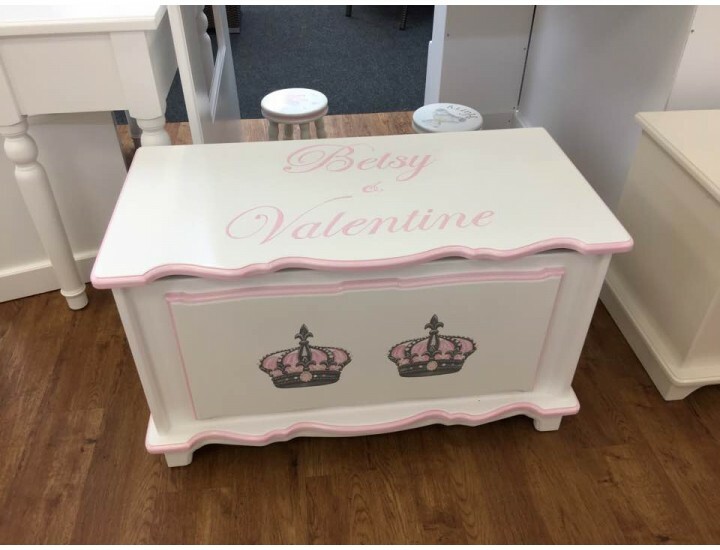 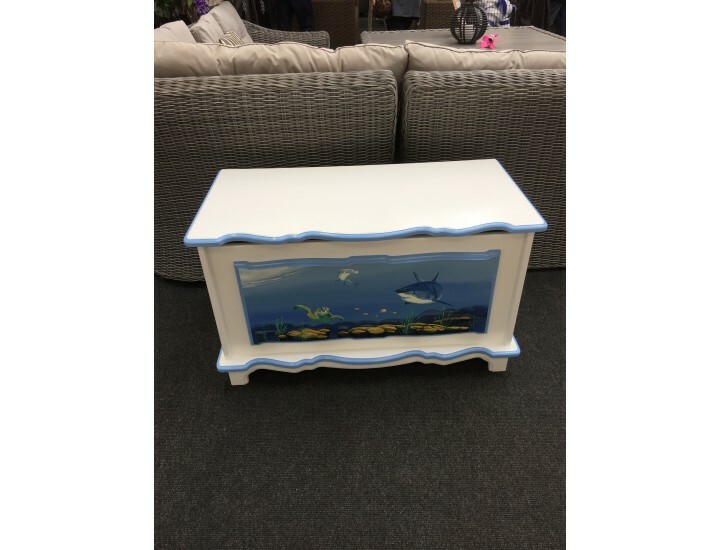 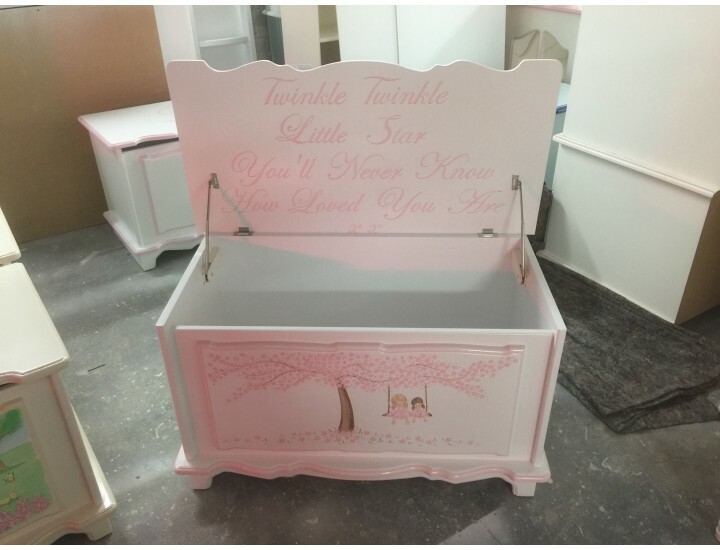 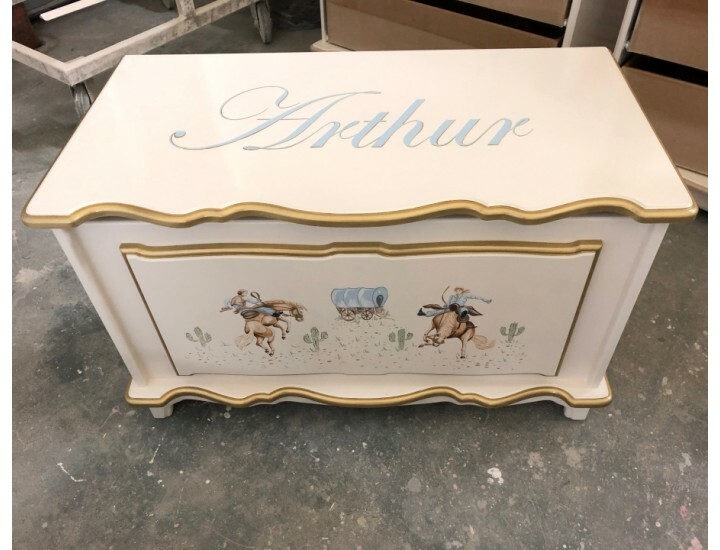 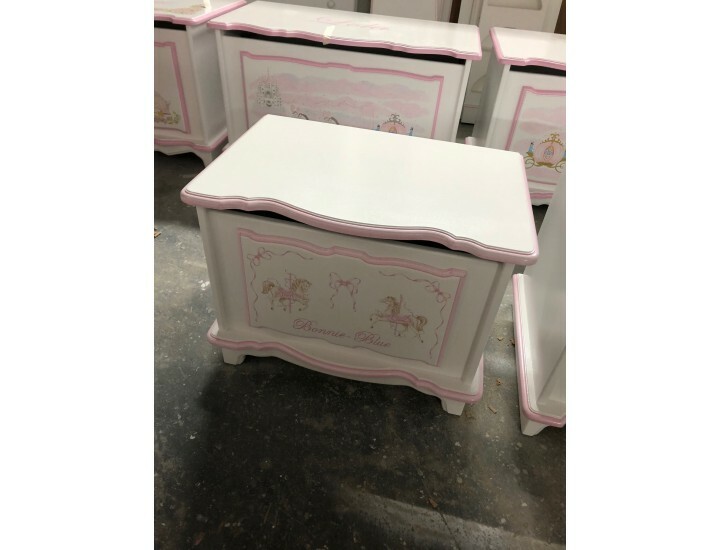 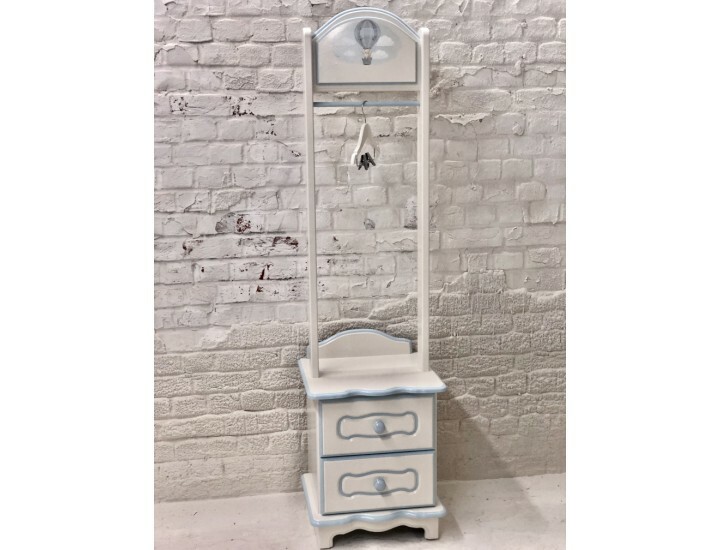 Our personalised toy boxes (sometimes called toy chests, toy storage boxes, blanket boxes or ottoman storage boxes) are lovingly hand crafted in Kent by our own talented team of toy box makers and artists. 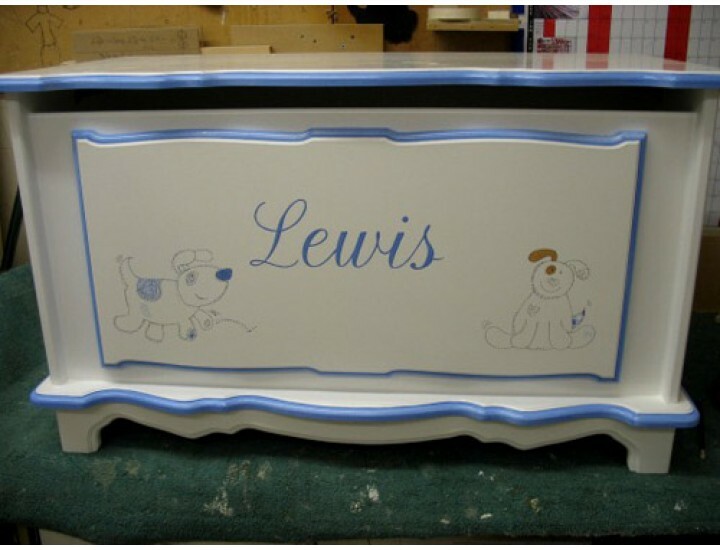 Each toy box is bespoke and personalised to order. 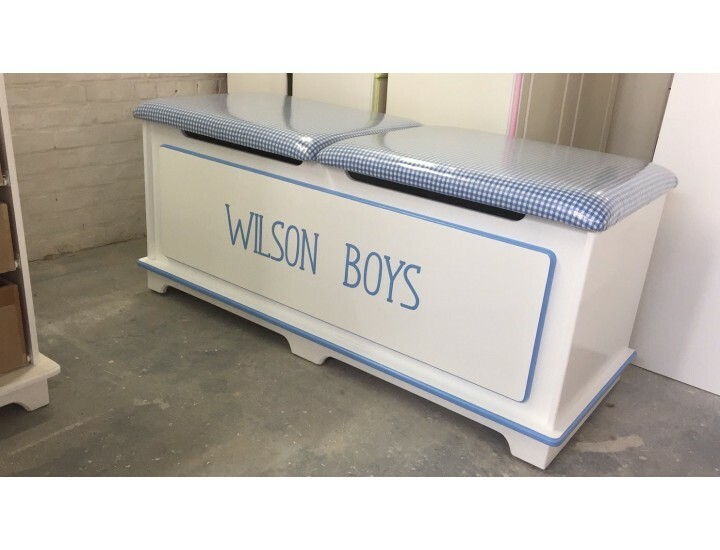 The most popular toy box sizes are 2ft (24”), 2ft6 (30”) and 3ft (36”), although we often make personalised toy boxes bespoke. 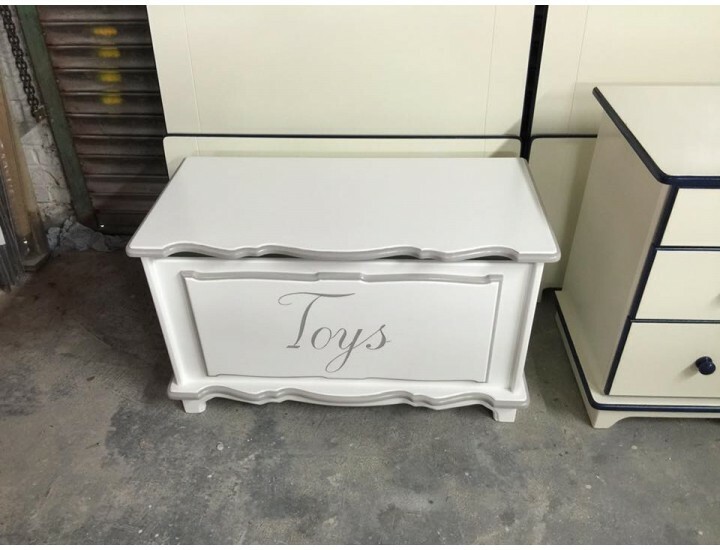 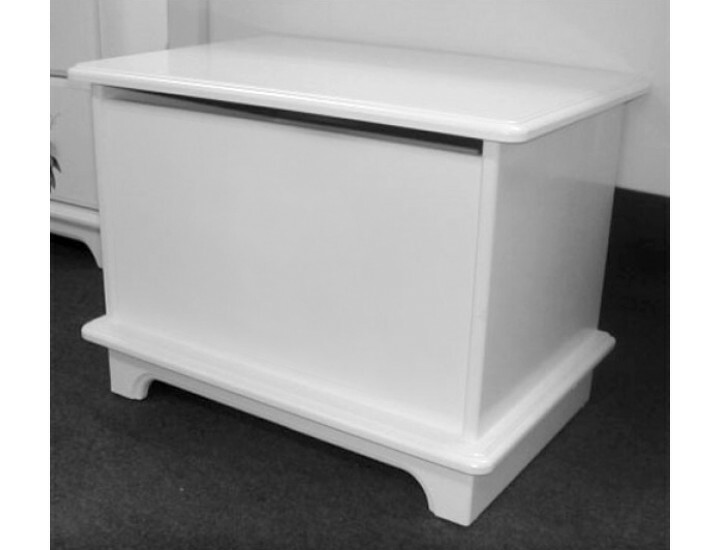 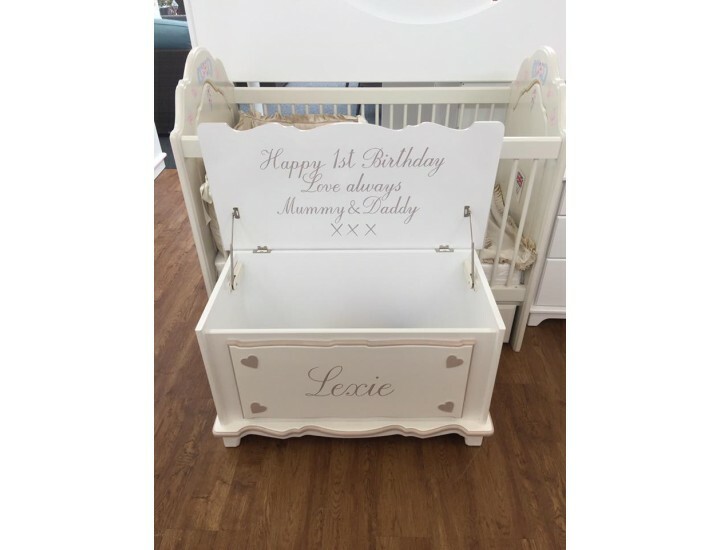 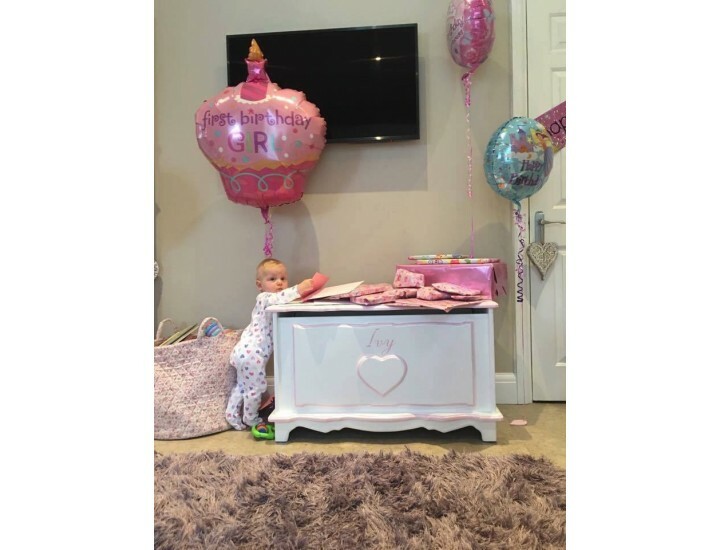 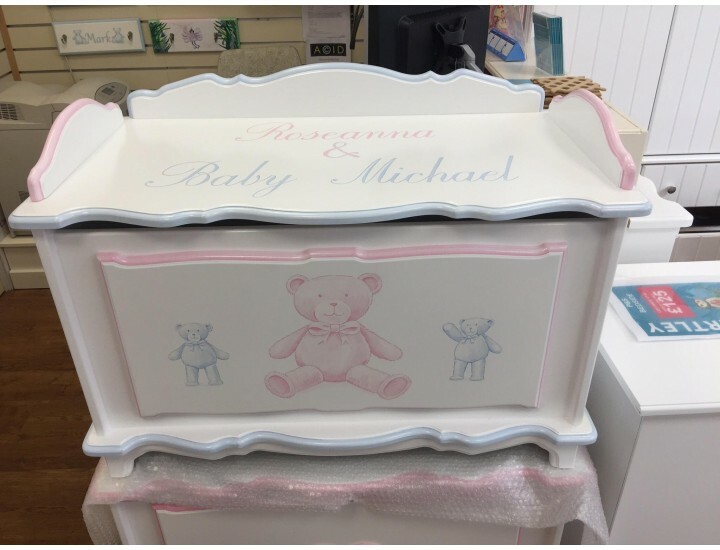 We offer two unique personalised toy box styles: ‘Plain’ (straight with rounded corners for boys) and ‘Fancy’ (wiggly shaped features for girls). 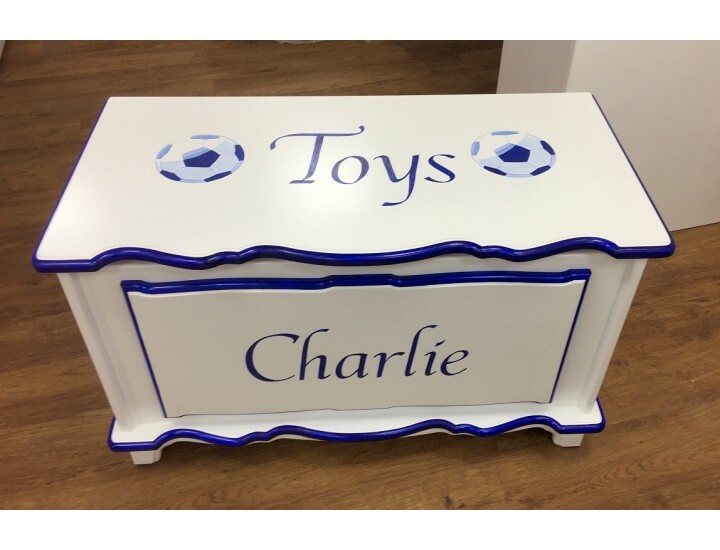 All Chartley toy boxes for girls and boys come with full-finger cut-out (no trapped fingers!) 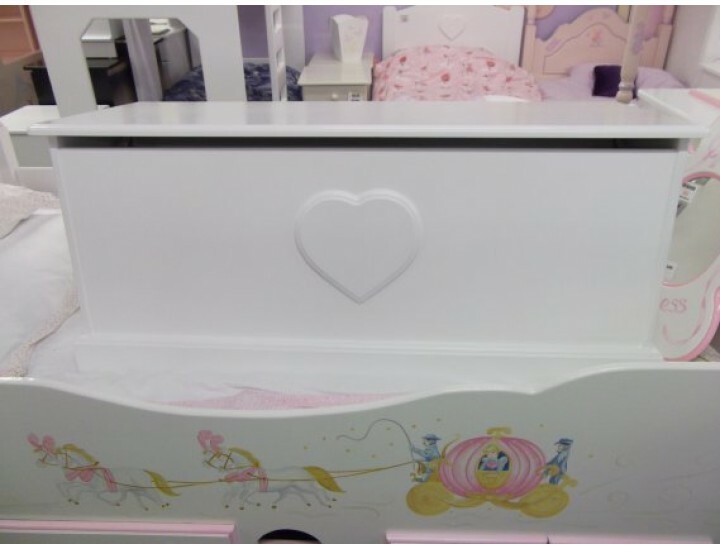 and slow-close safety hinge(s) as standard. 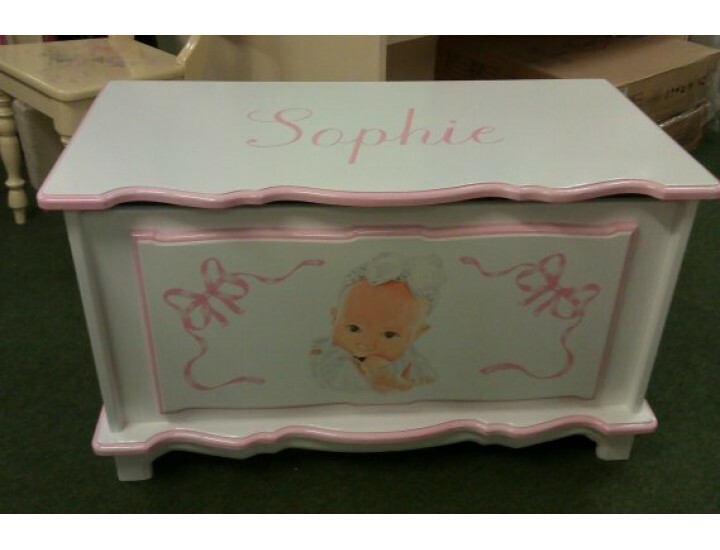 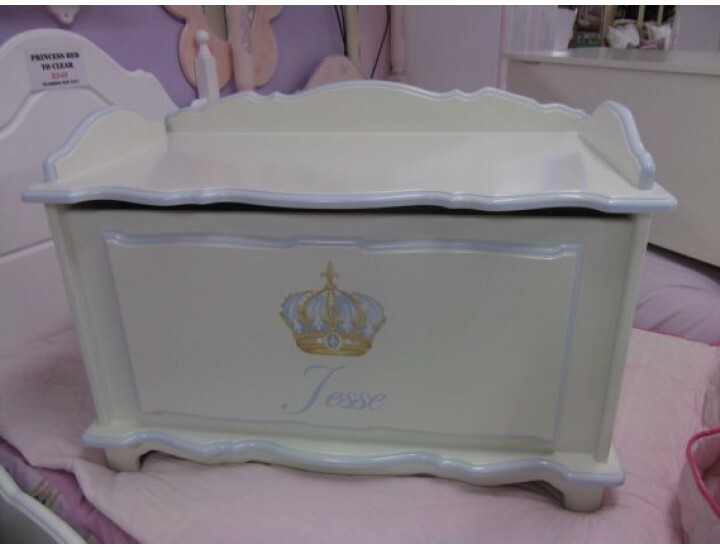 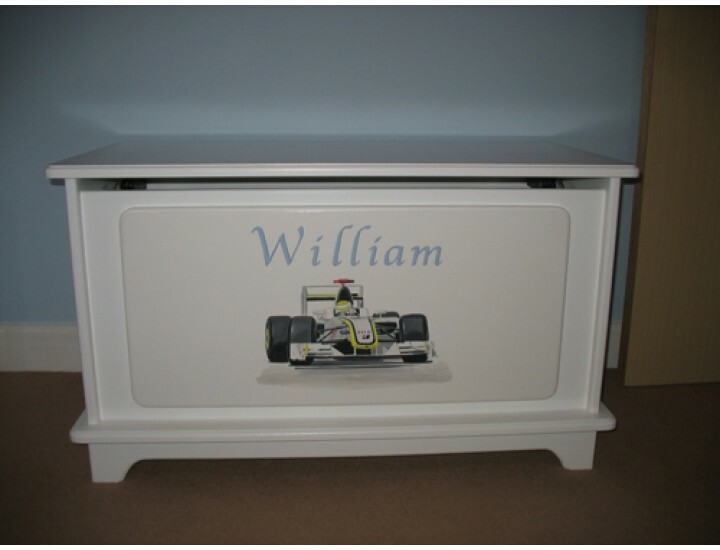 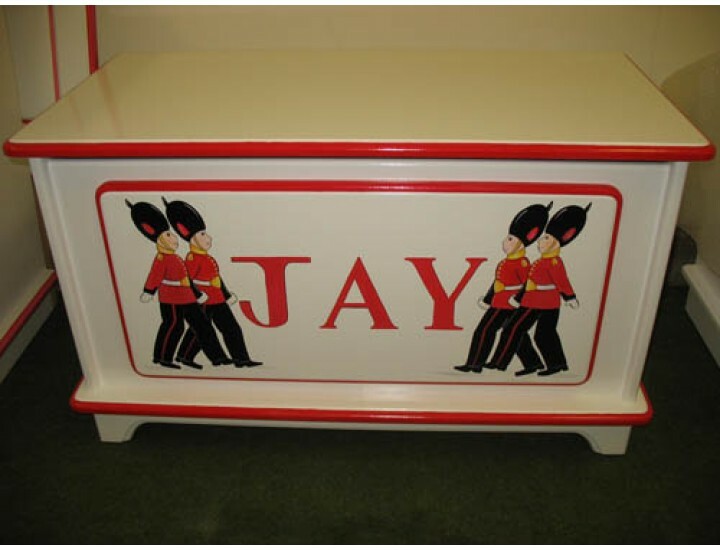 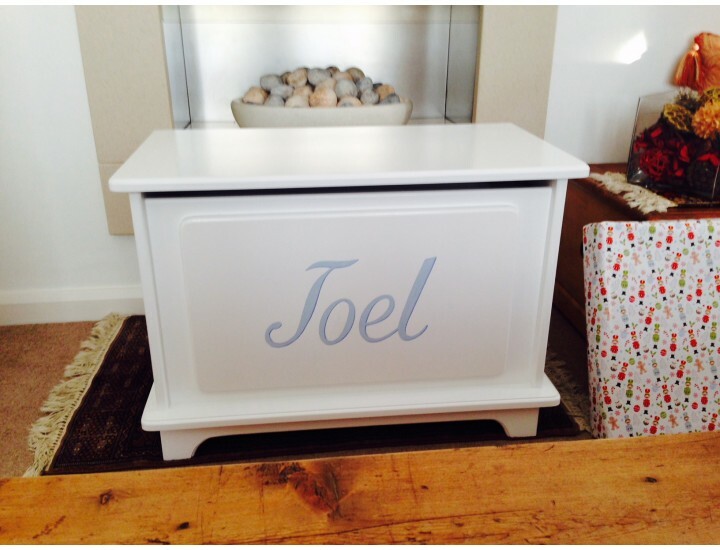 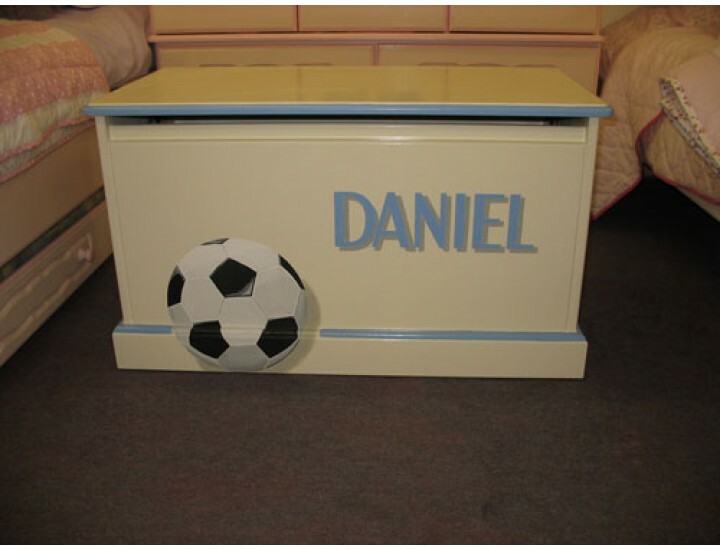 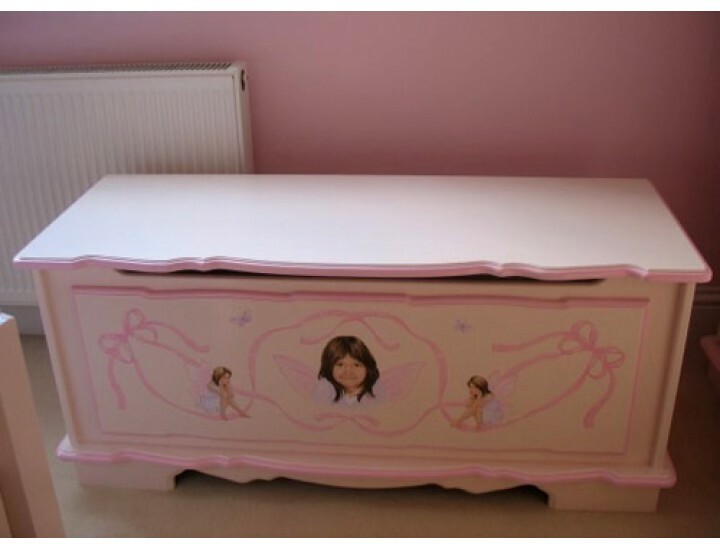 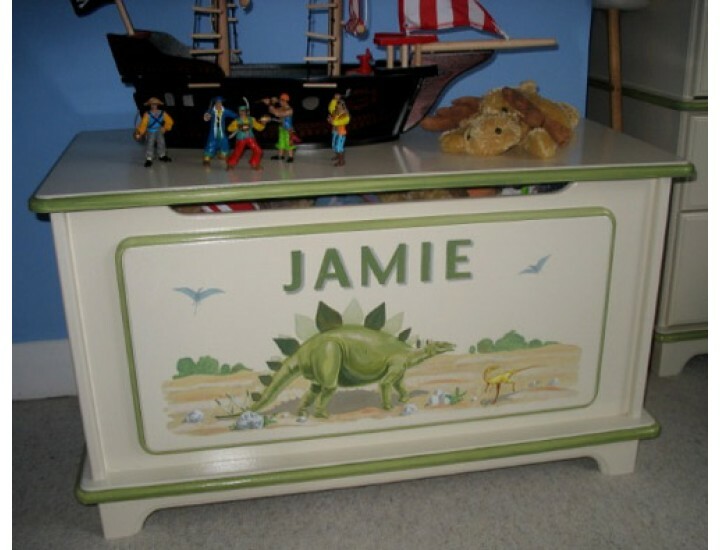 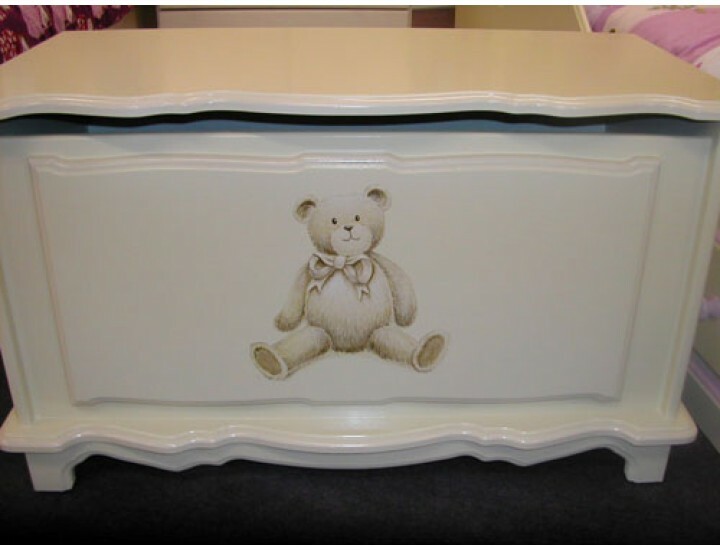 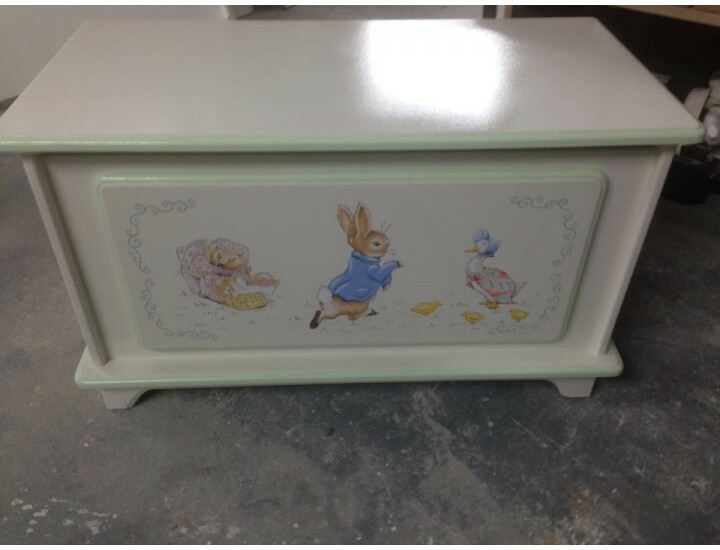 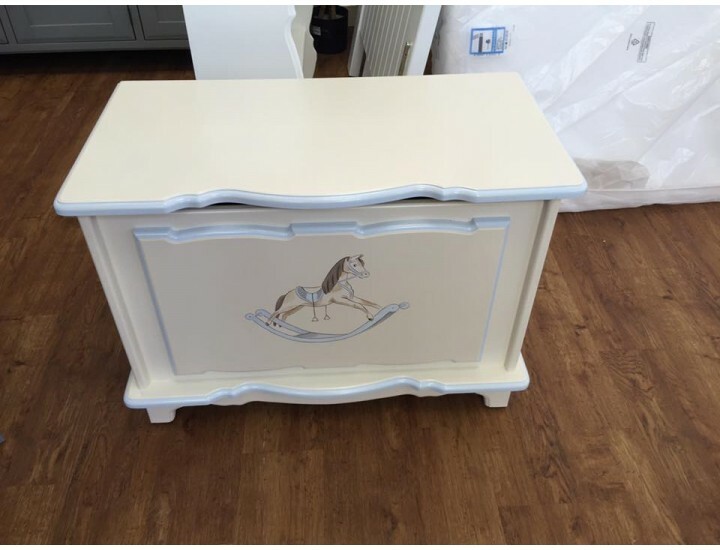 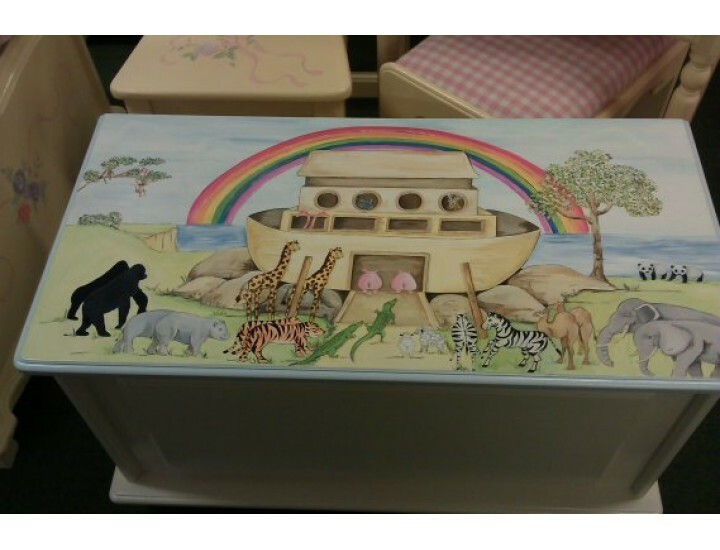 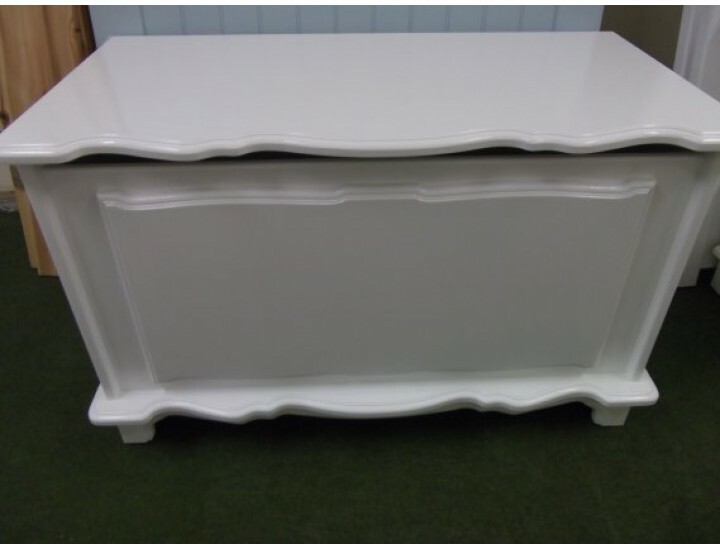 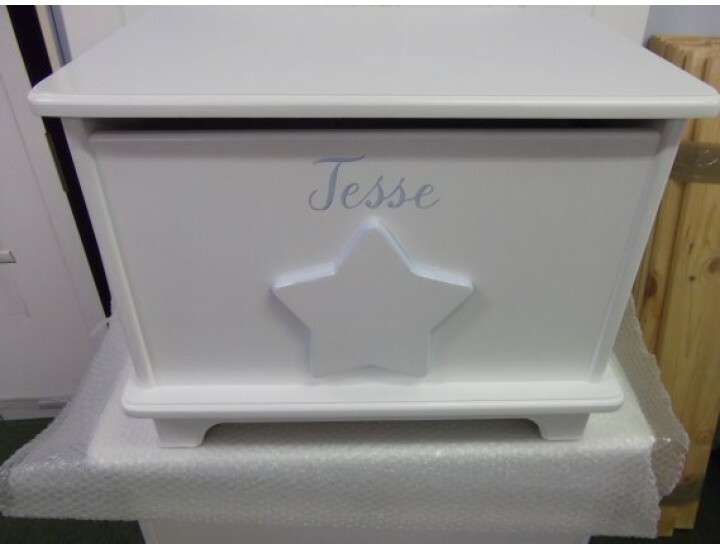 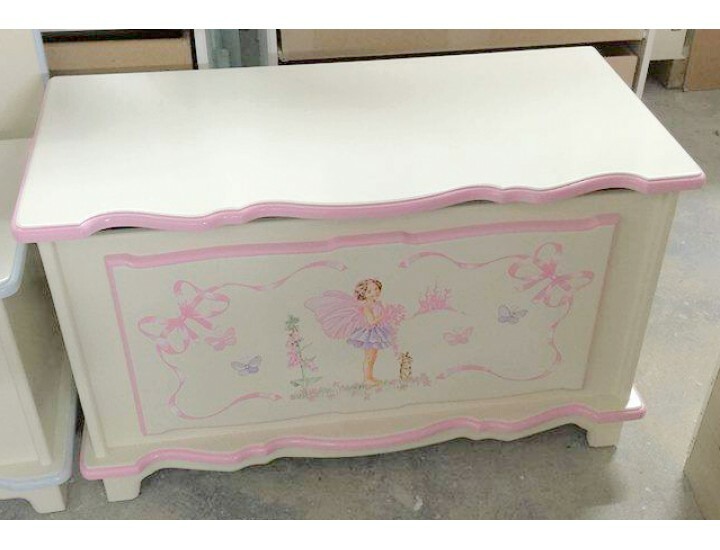 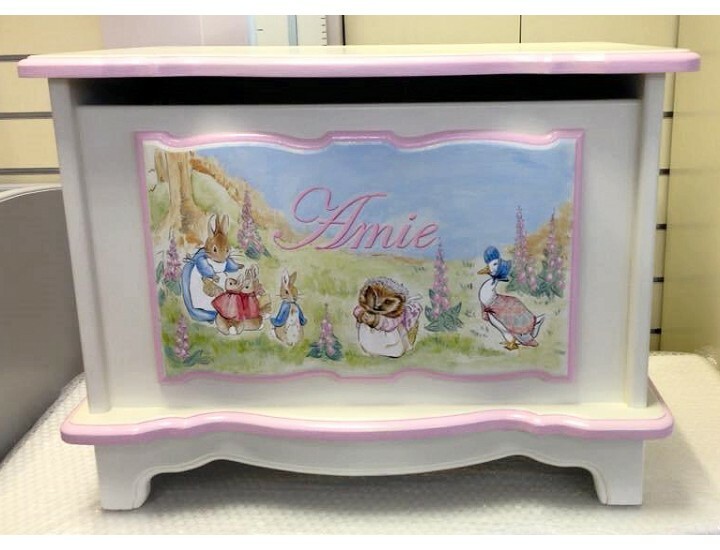 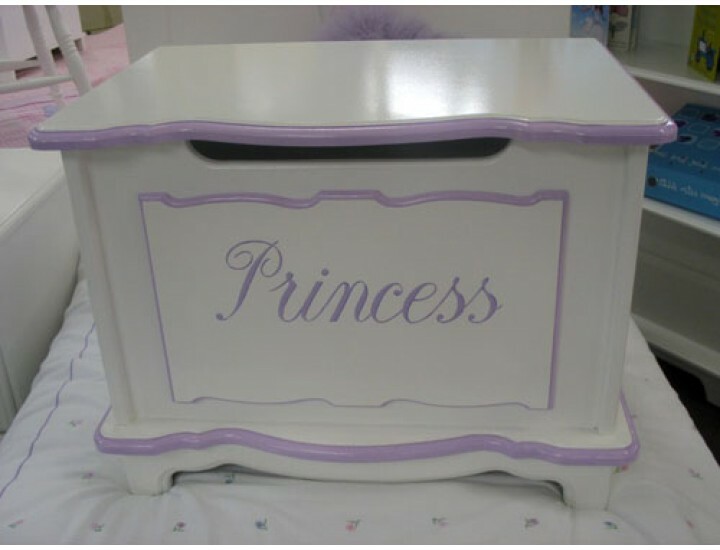 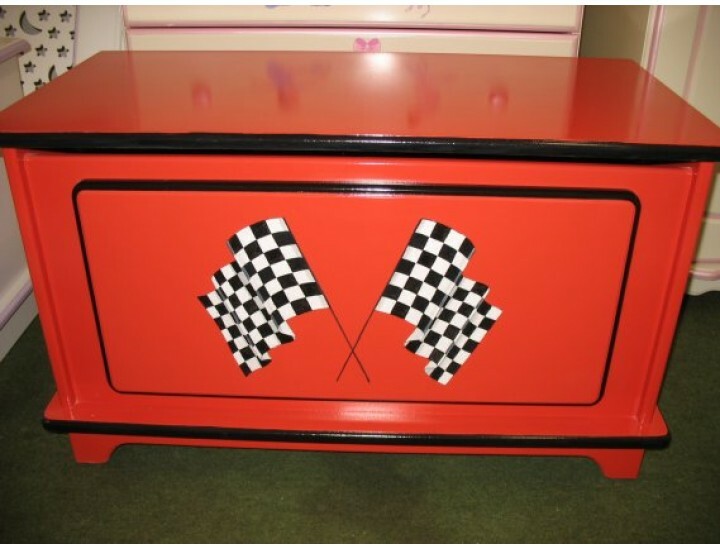 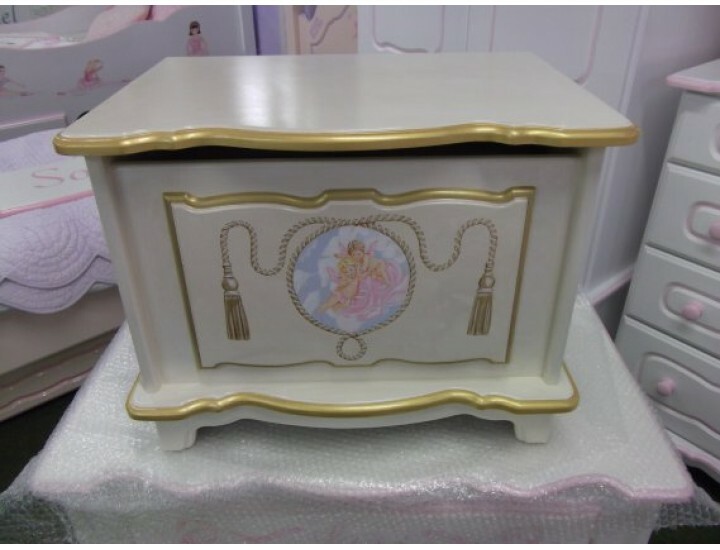 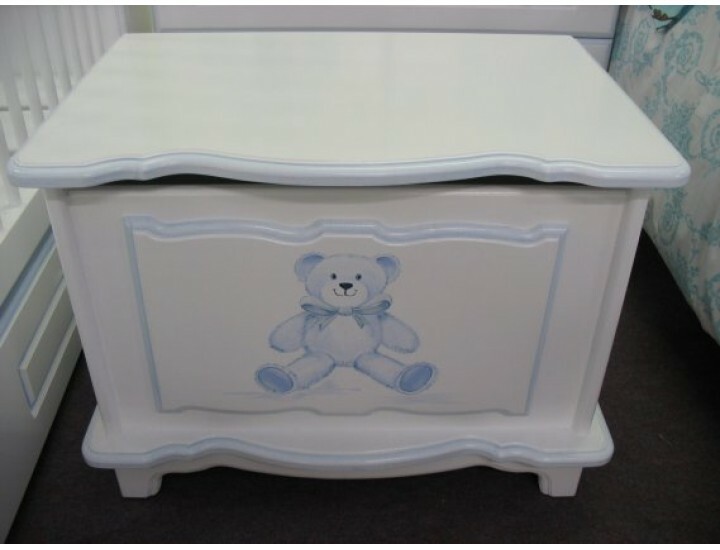 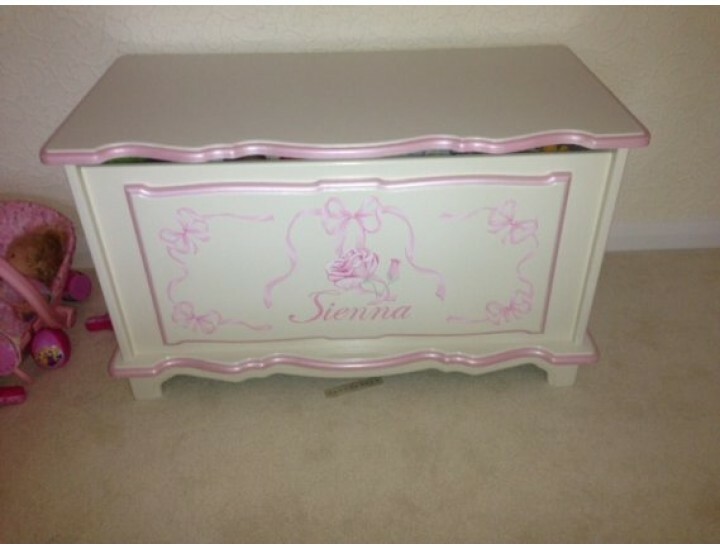 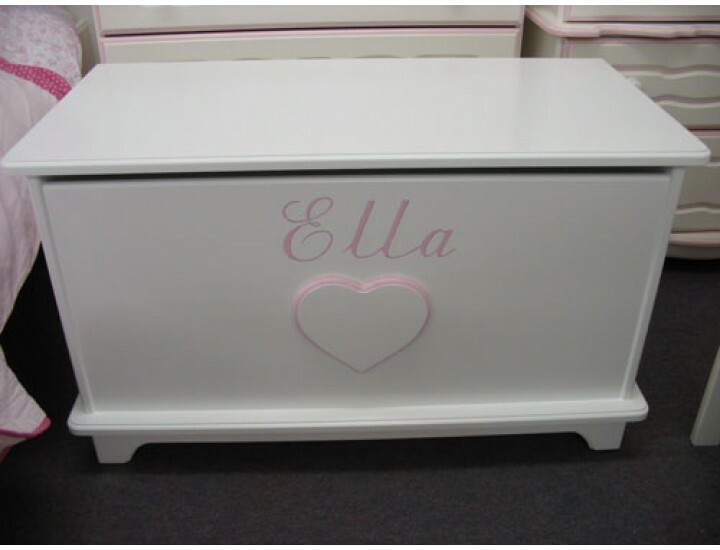 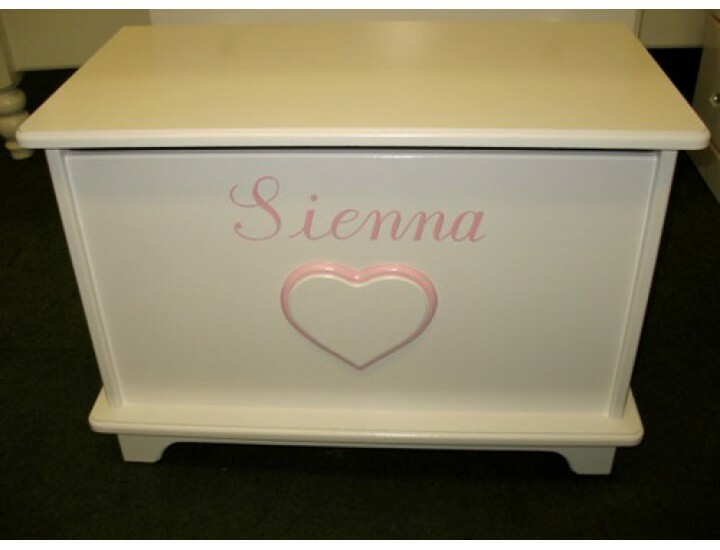 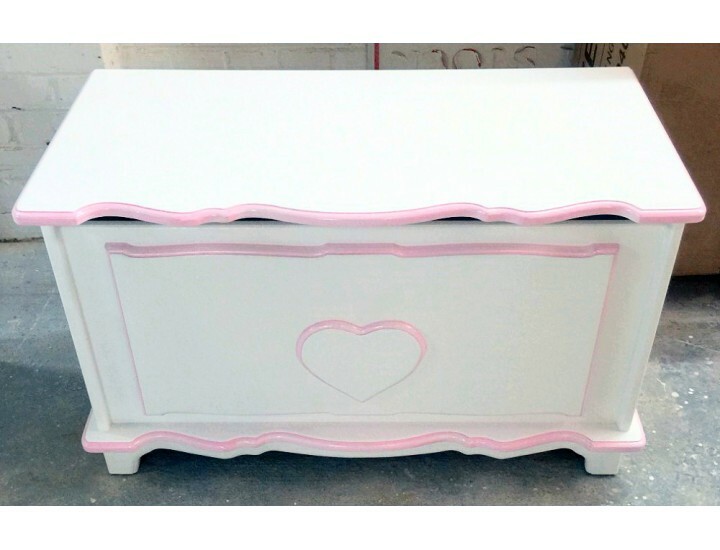 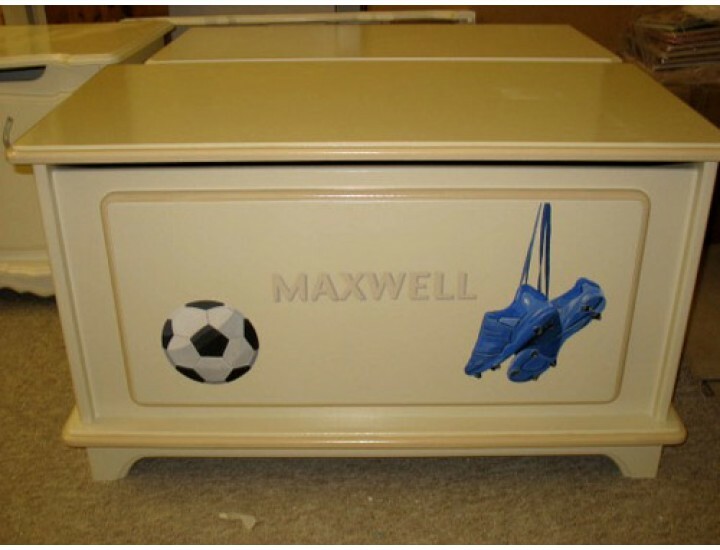 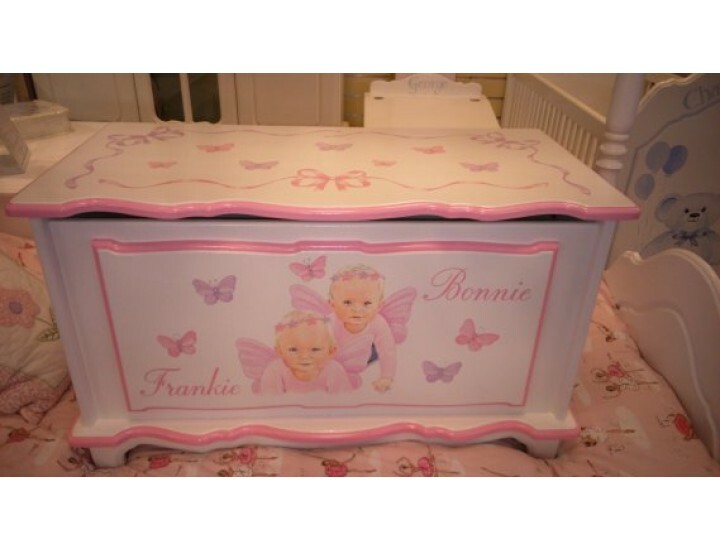 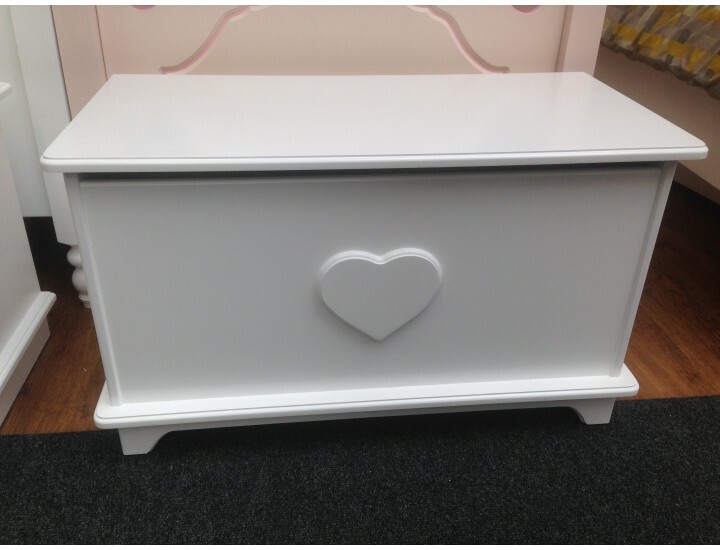 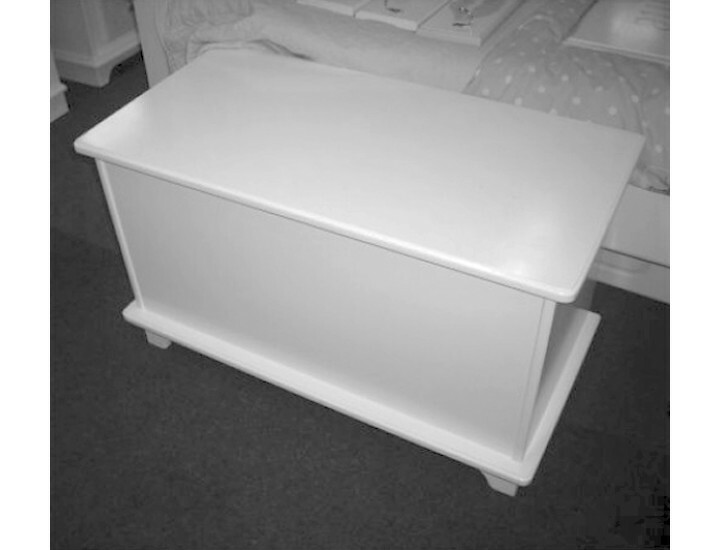 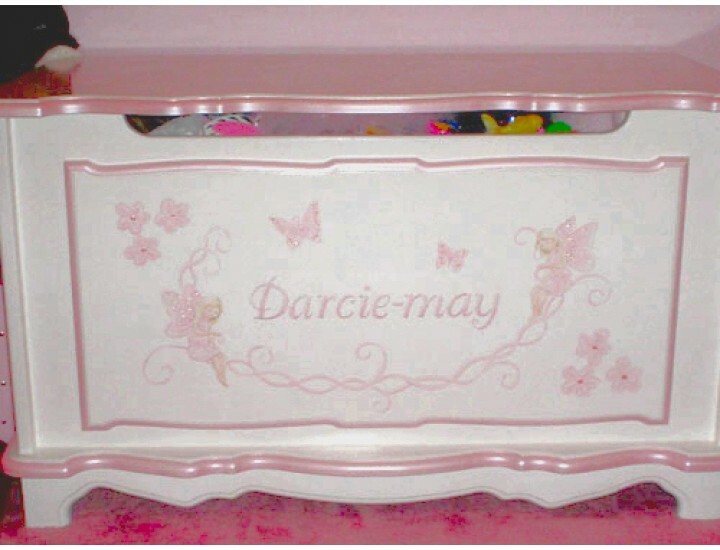 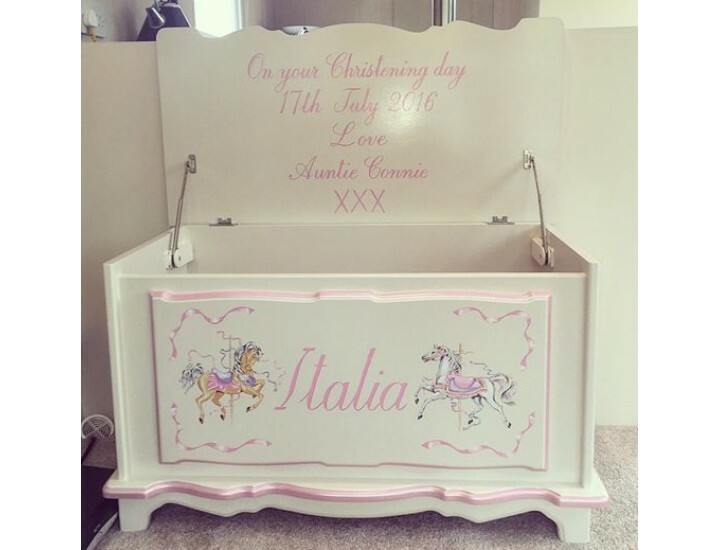 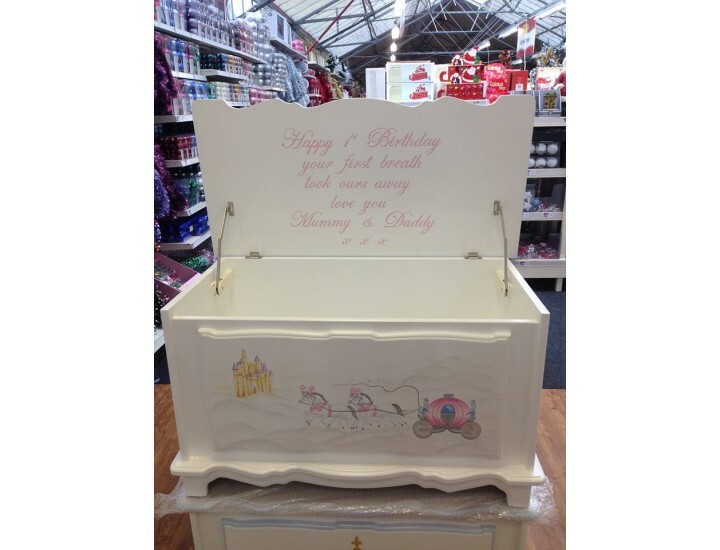 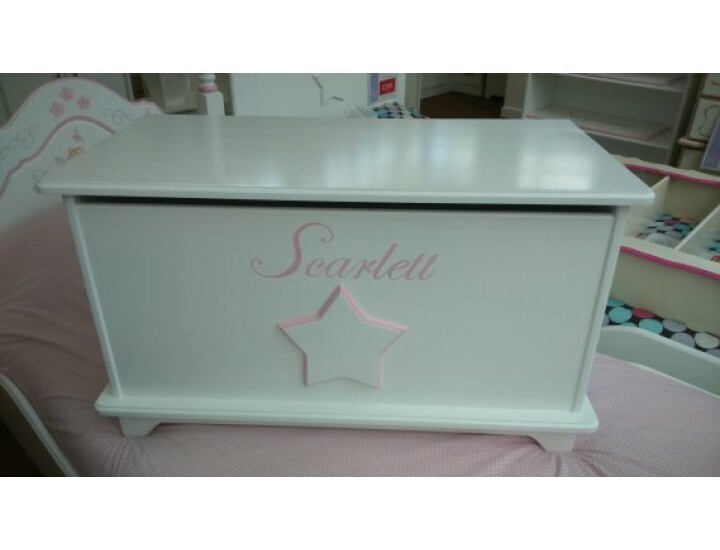 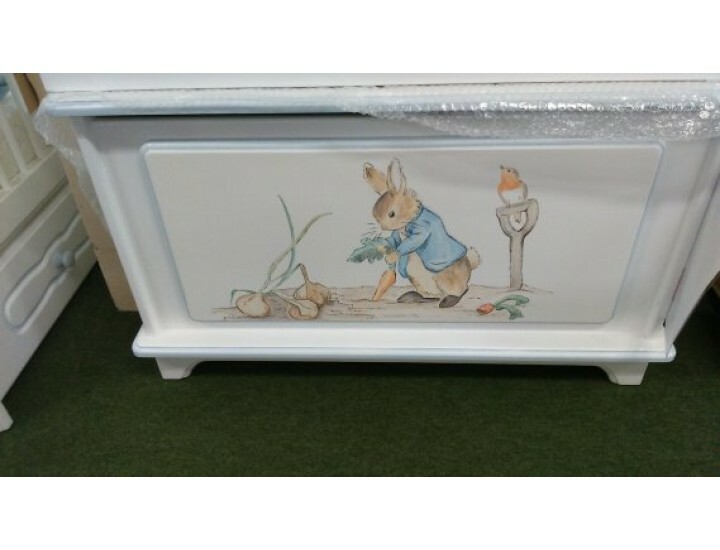 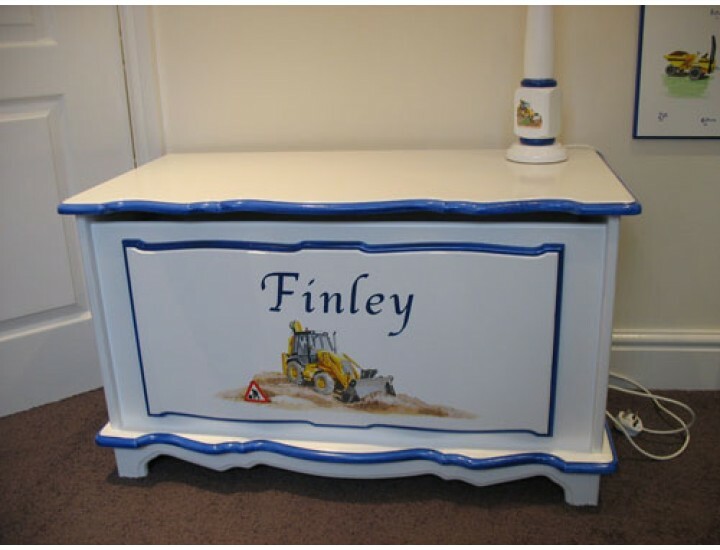 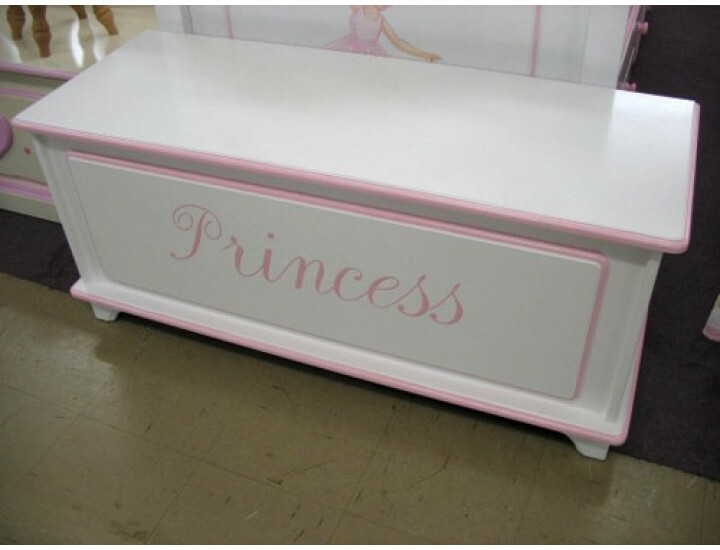 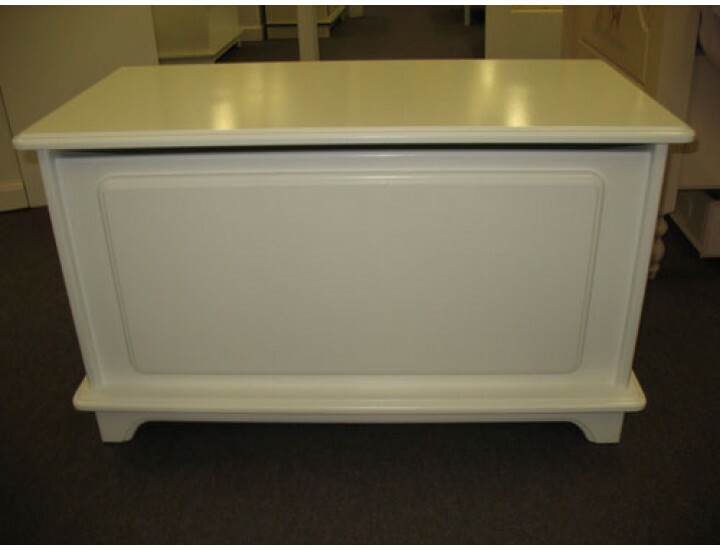 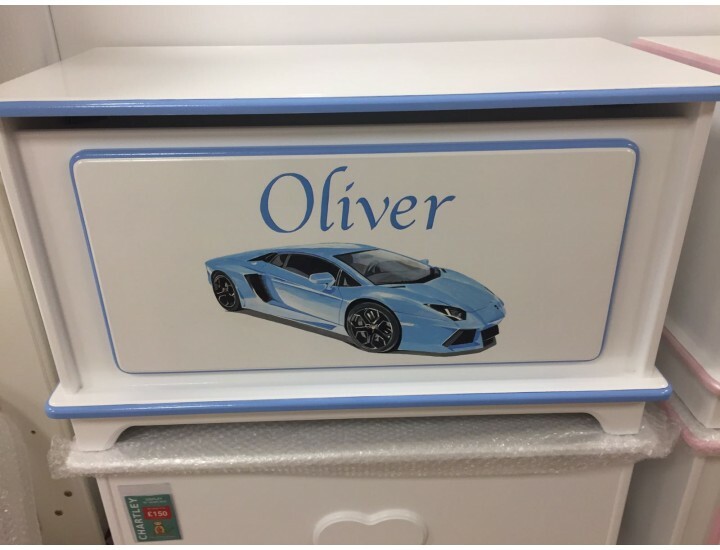 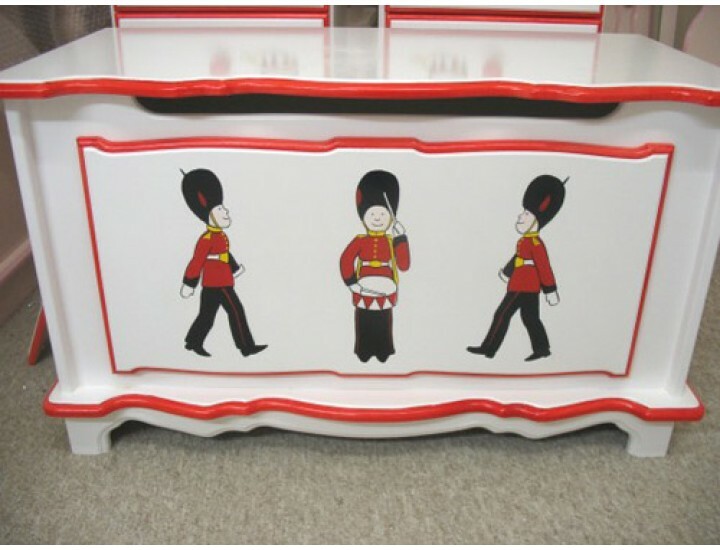 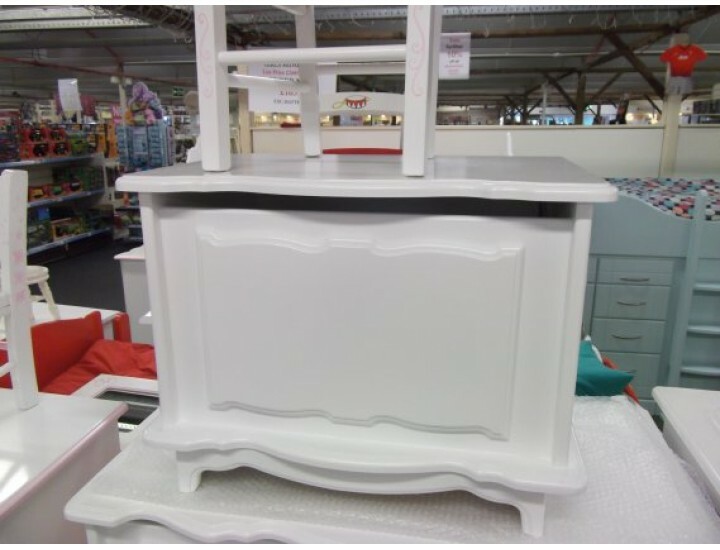 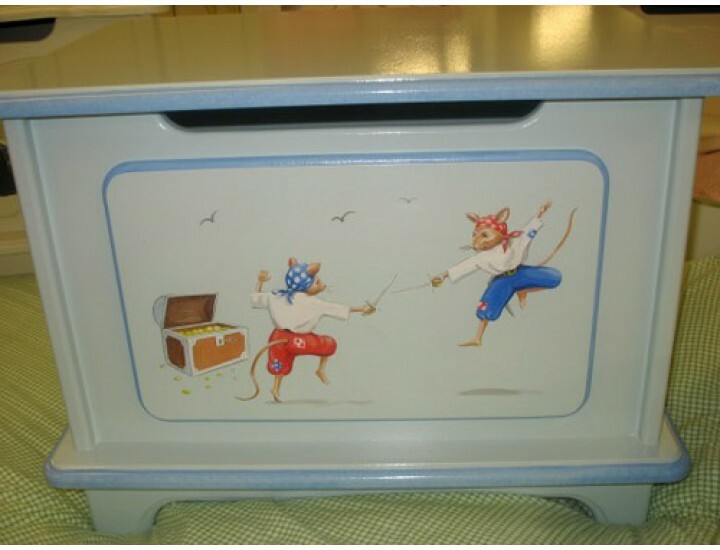 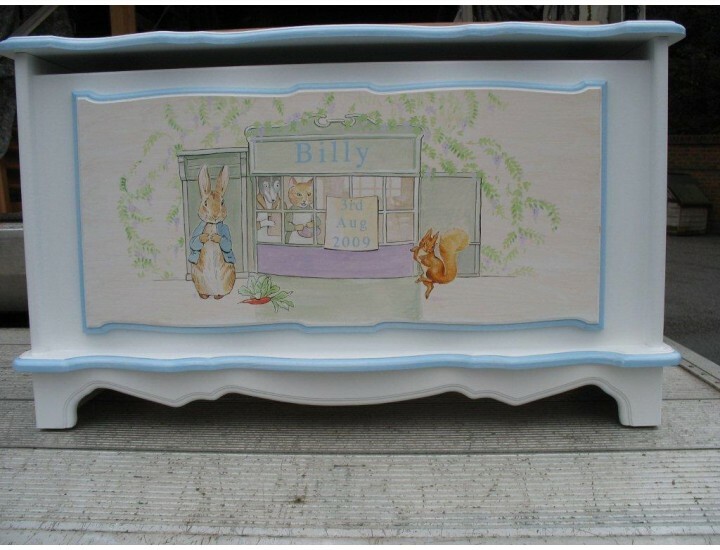 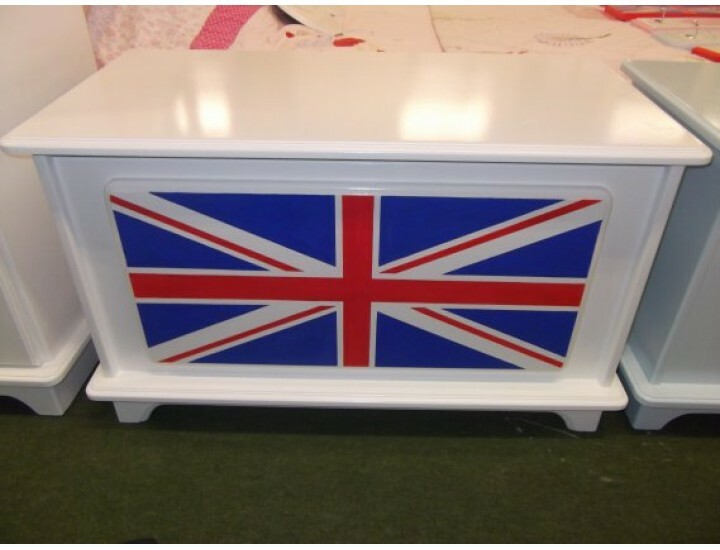 Our personalised toy boxes can be one of seven base colours and a hand painted edging colour can be added. 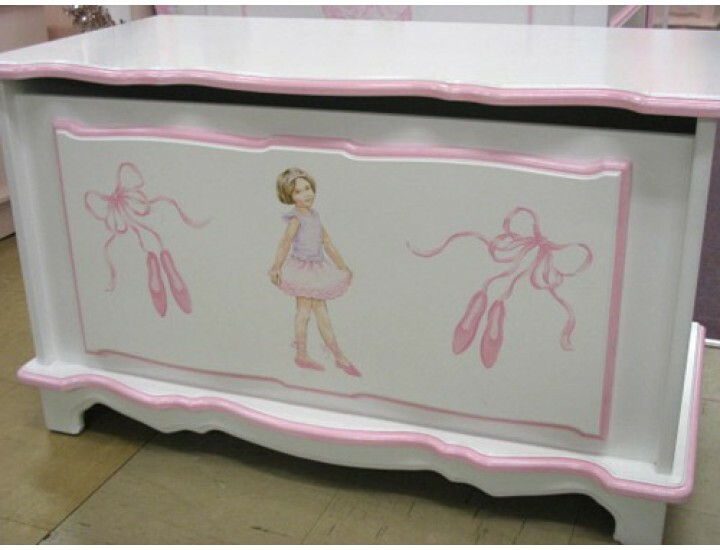 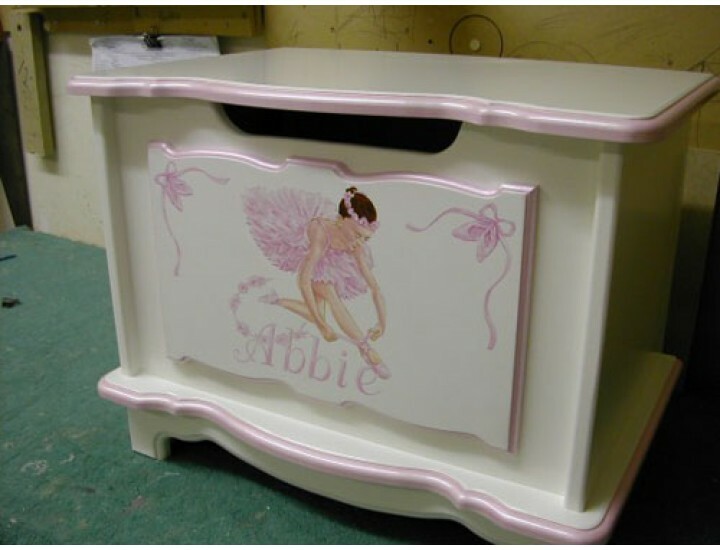 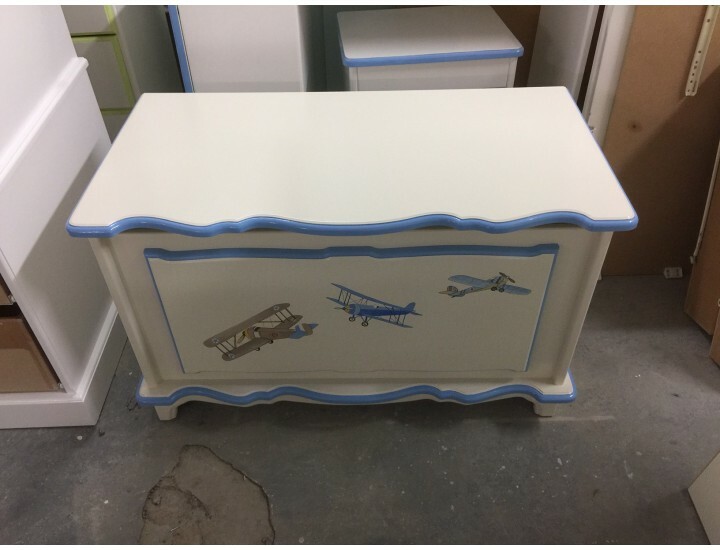 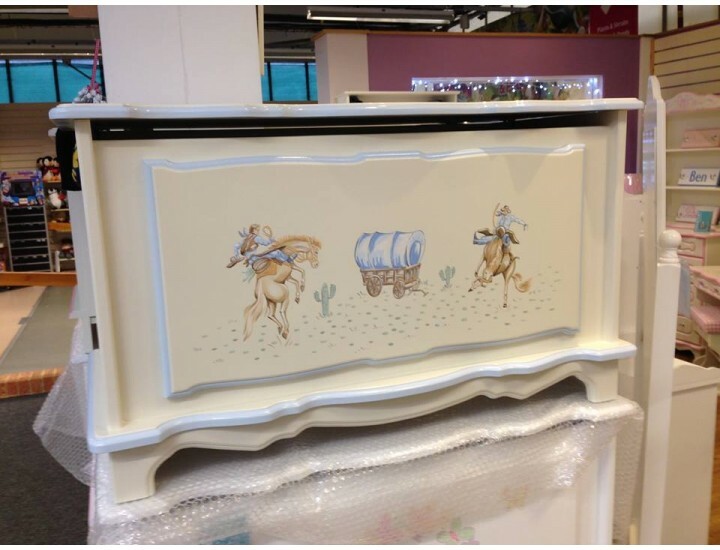 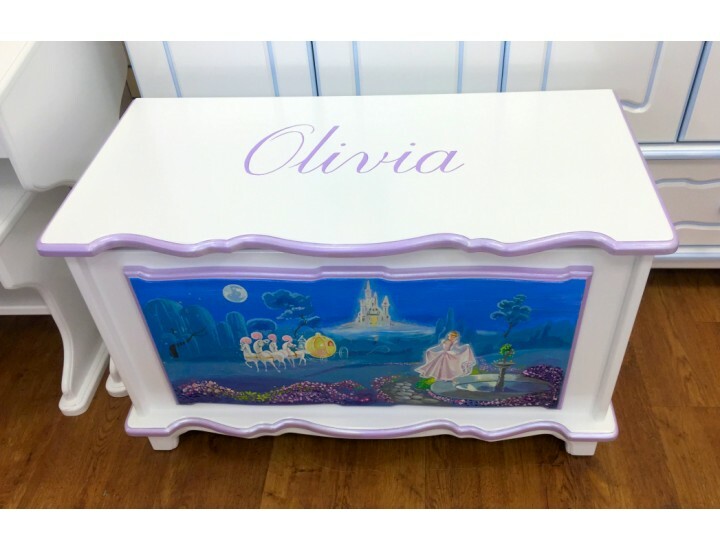 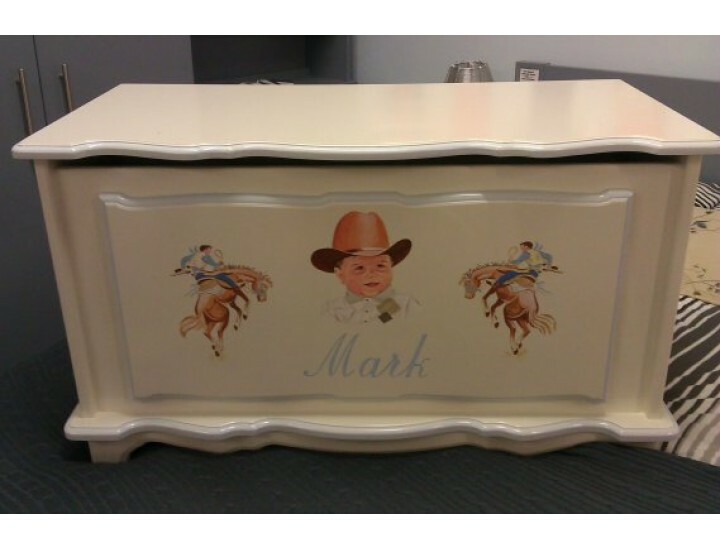 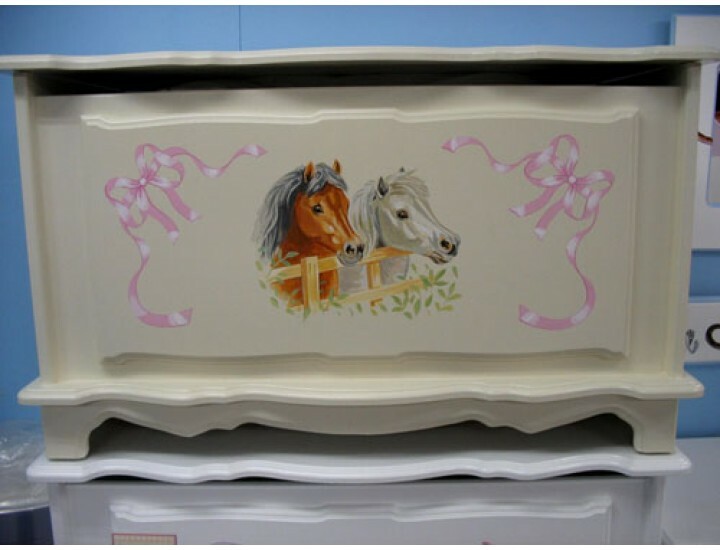 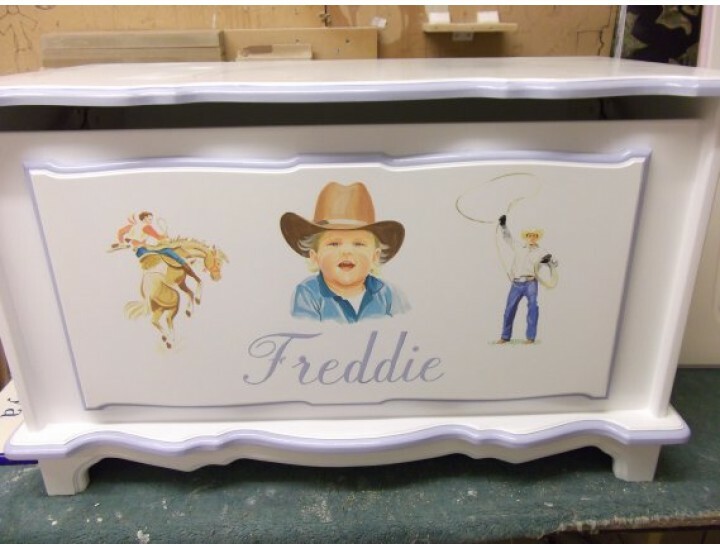 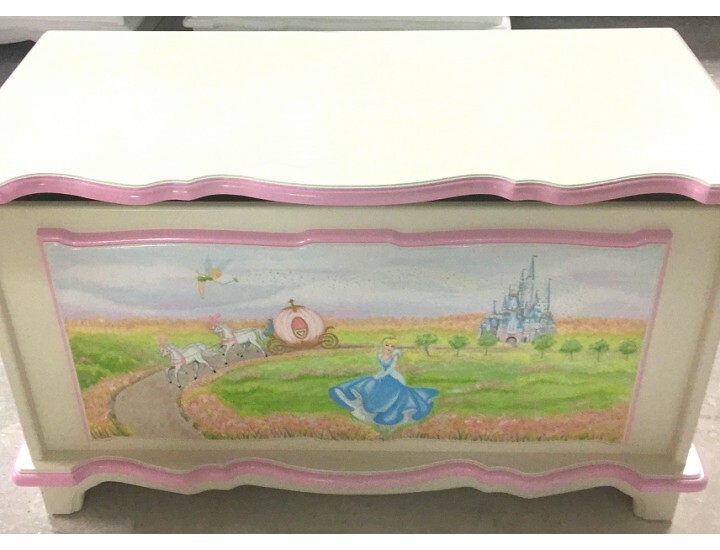 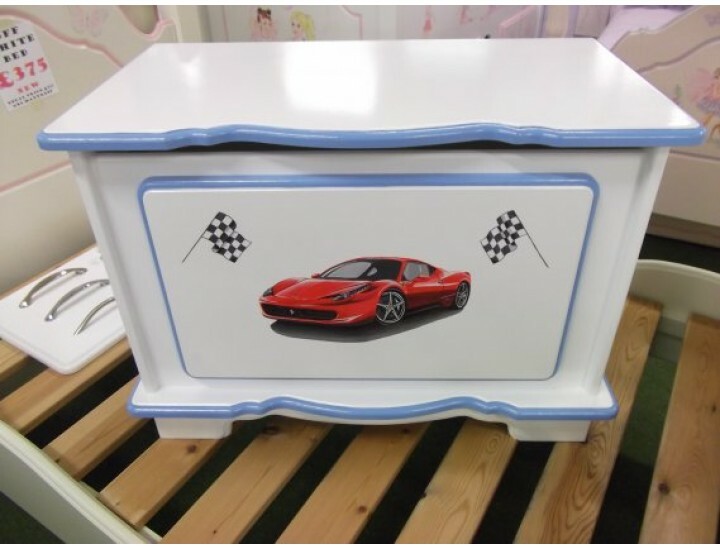 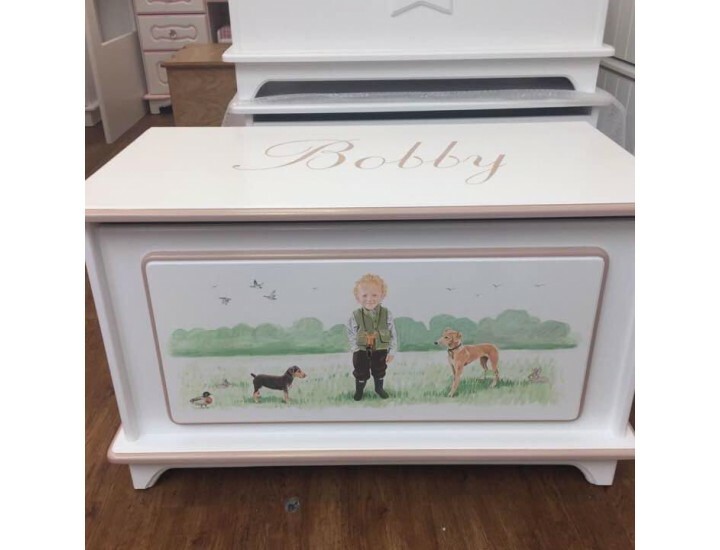 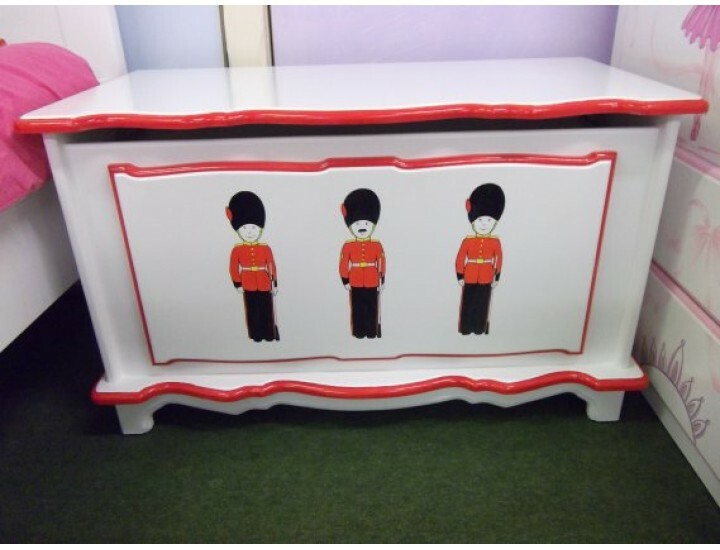 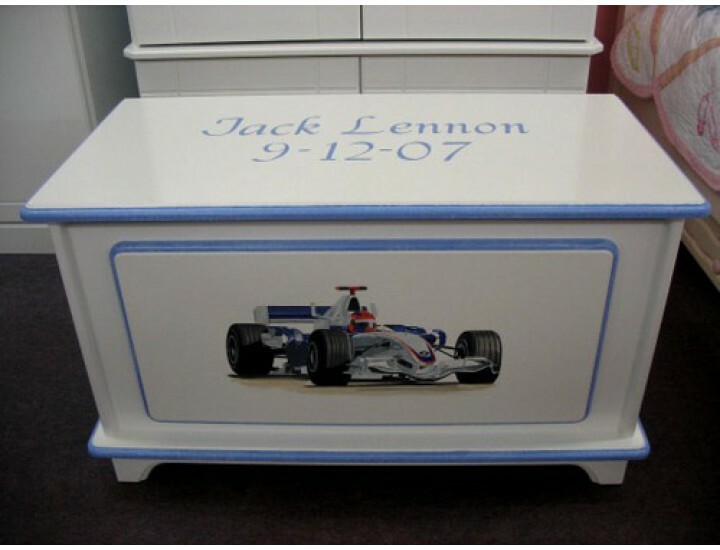 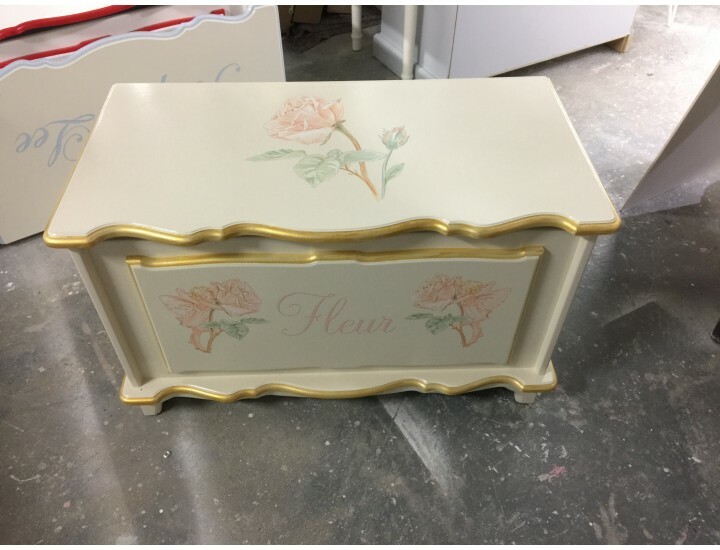 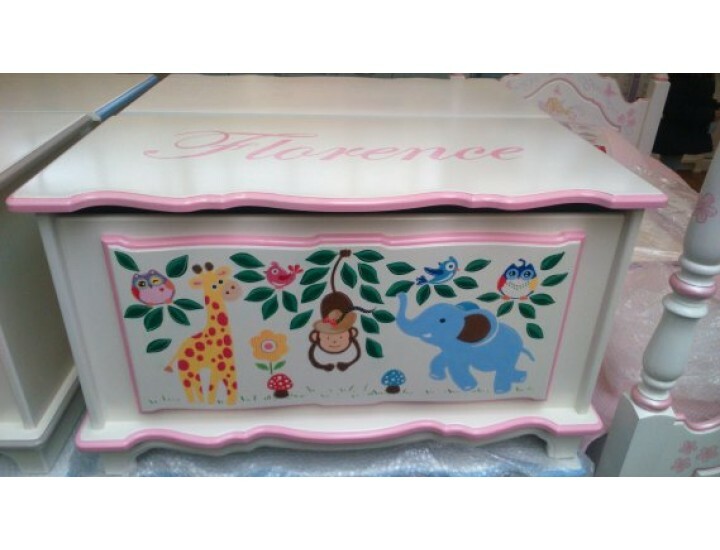 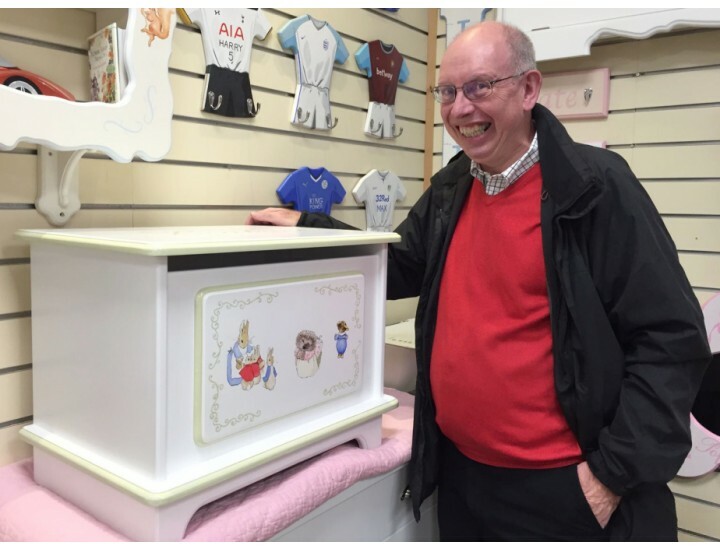 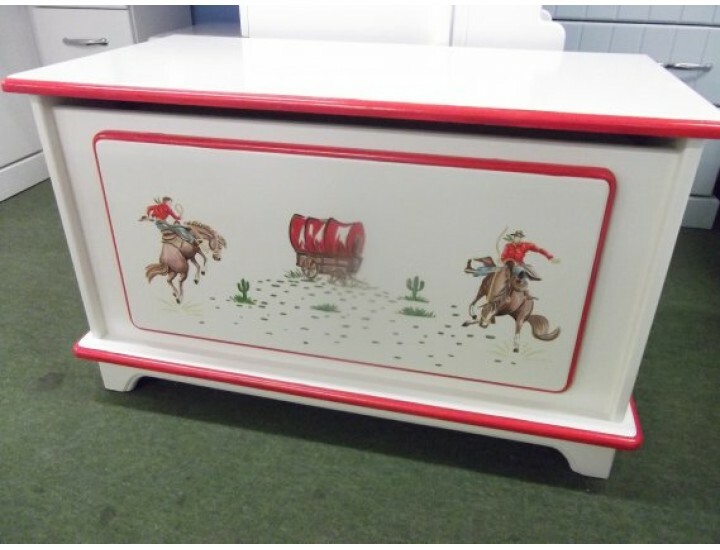 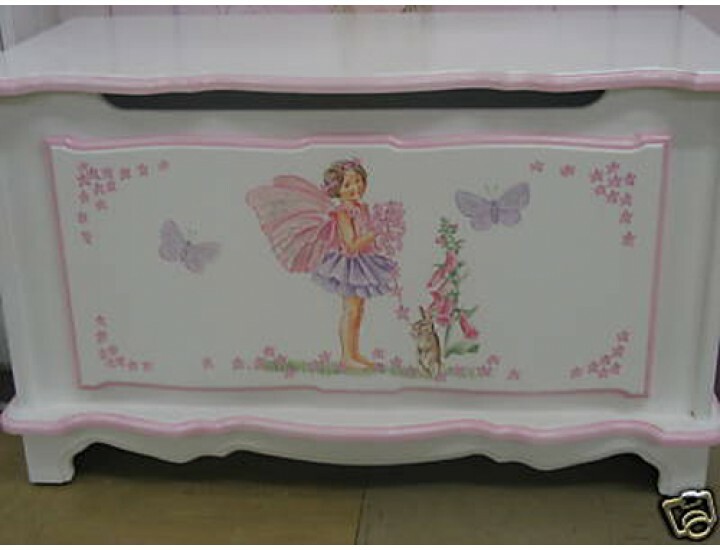 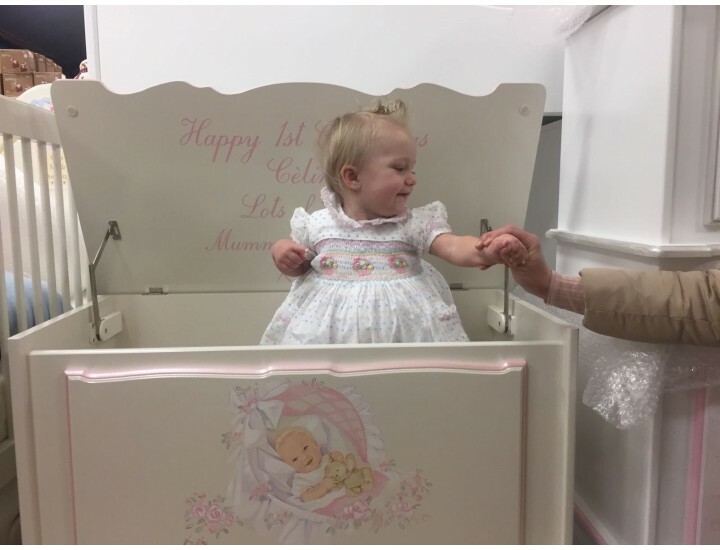 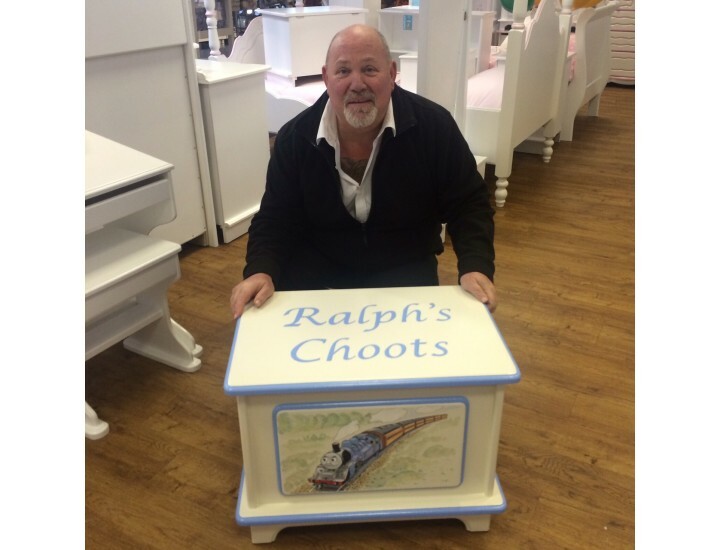 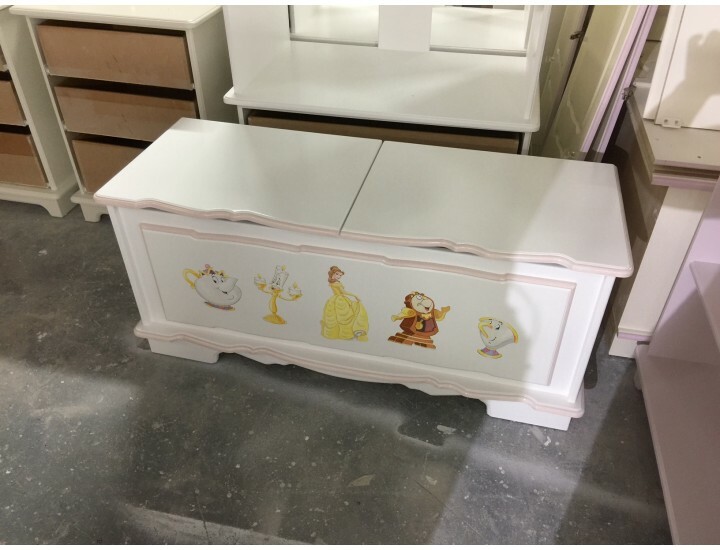 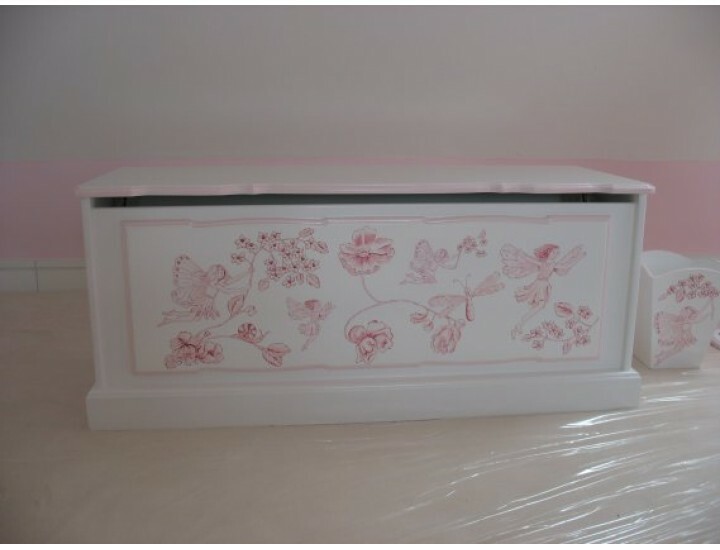 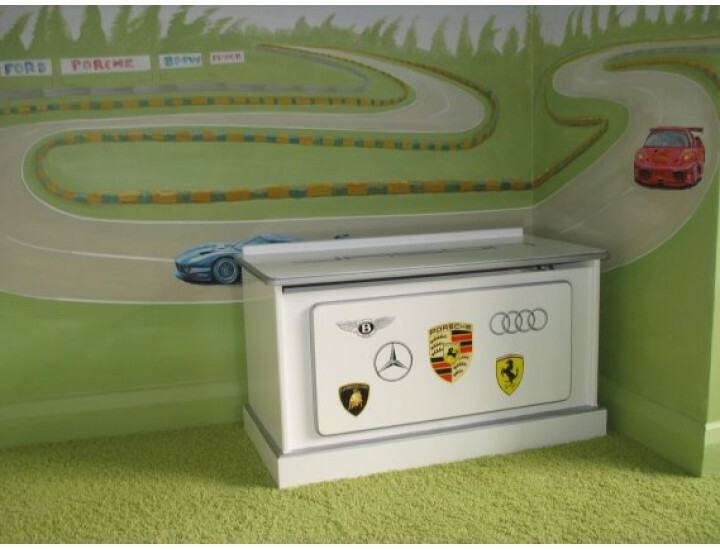 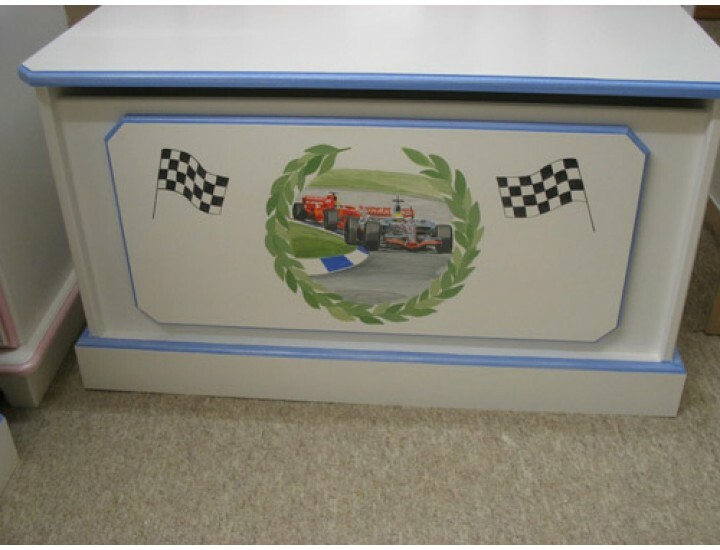 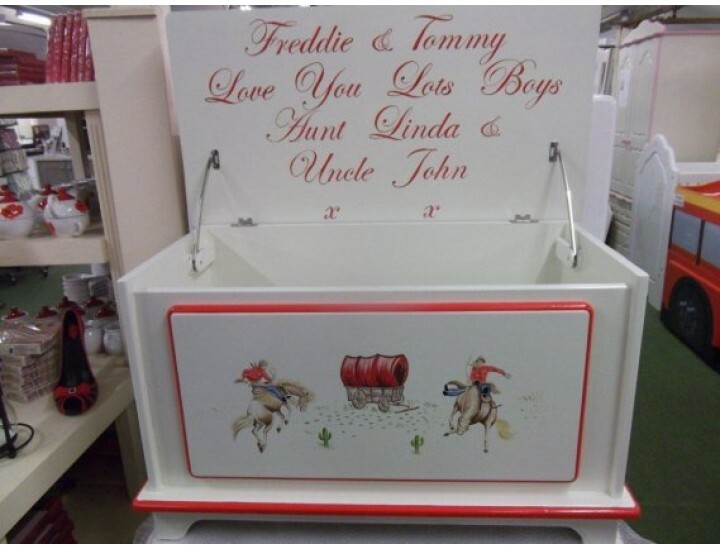 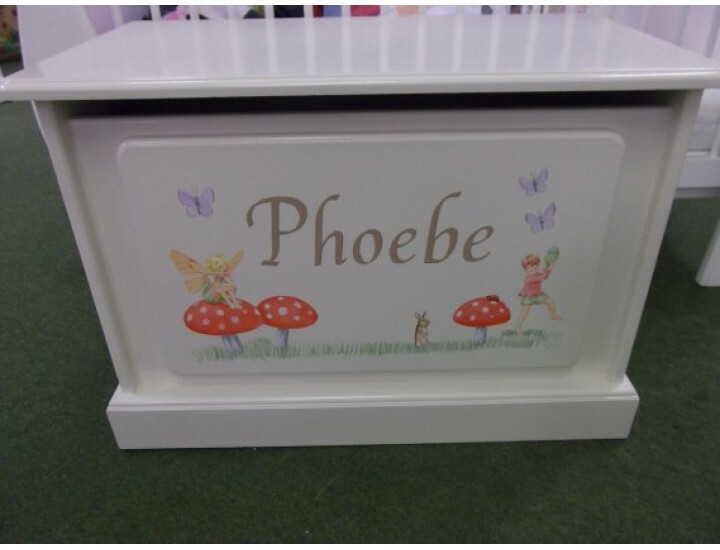 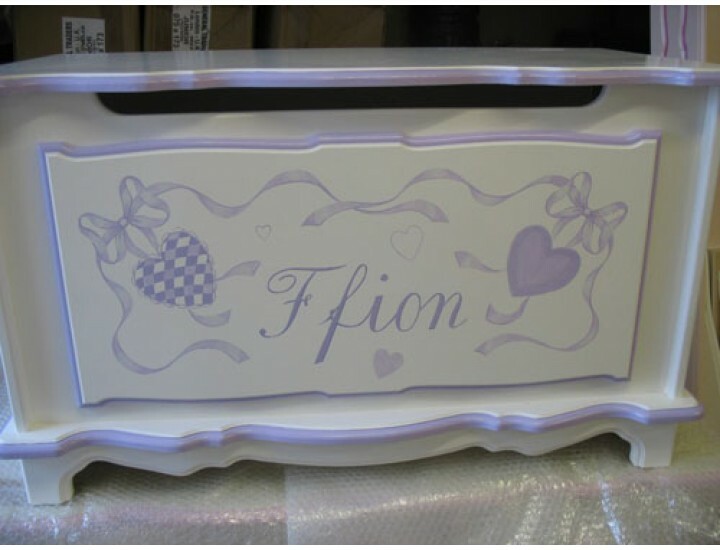 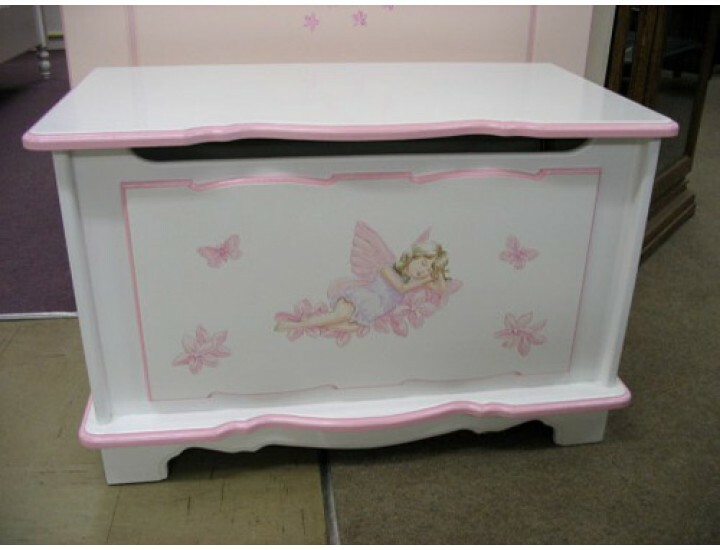 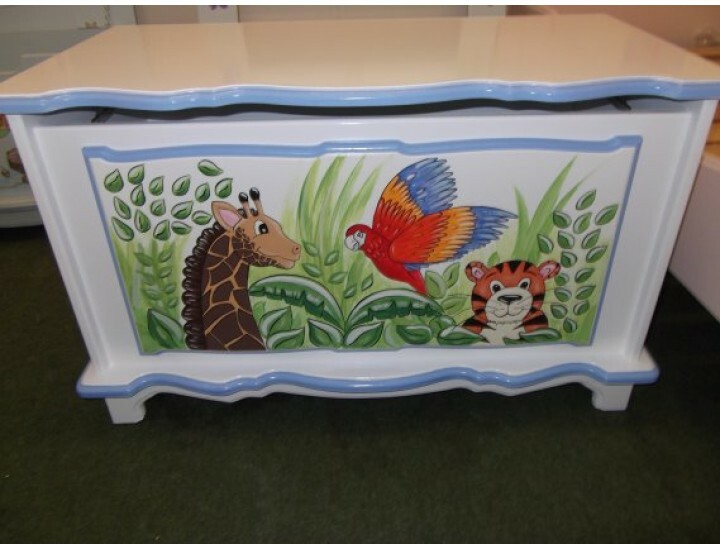 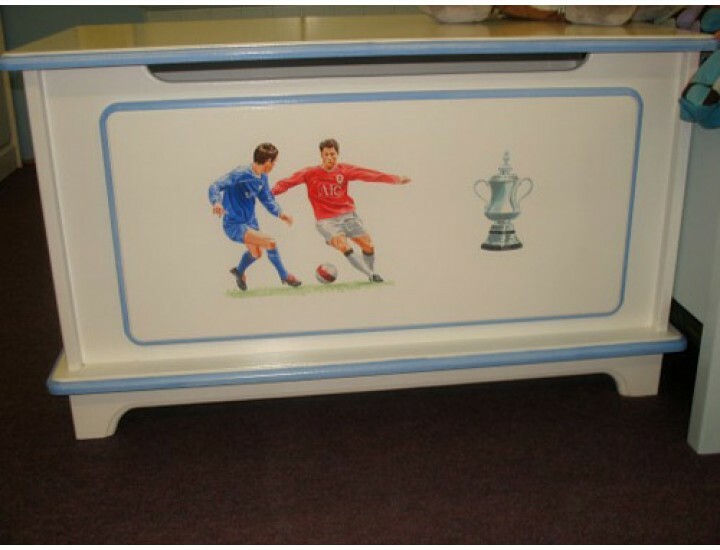 Our toy box artists can paint any artwork and/or names onto the lid or front panel, making your new personalised toy box truly unique! 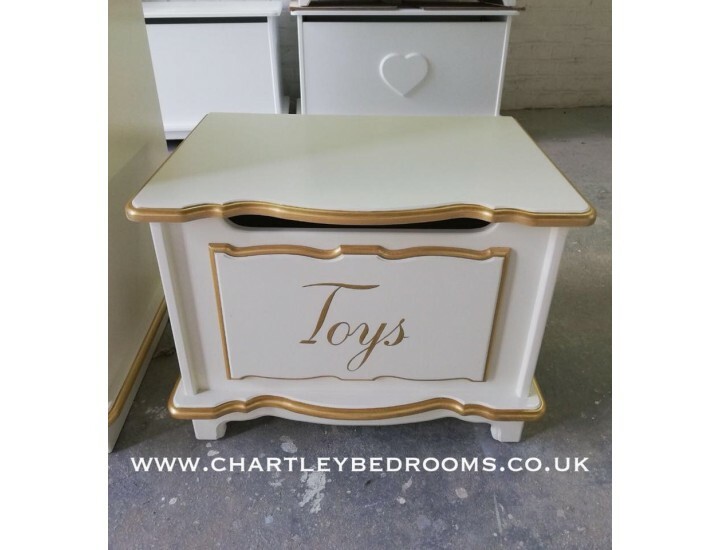 Chartley toy boxes are very strong and built to last forever! 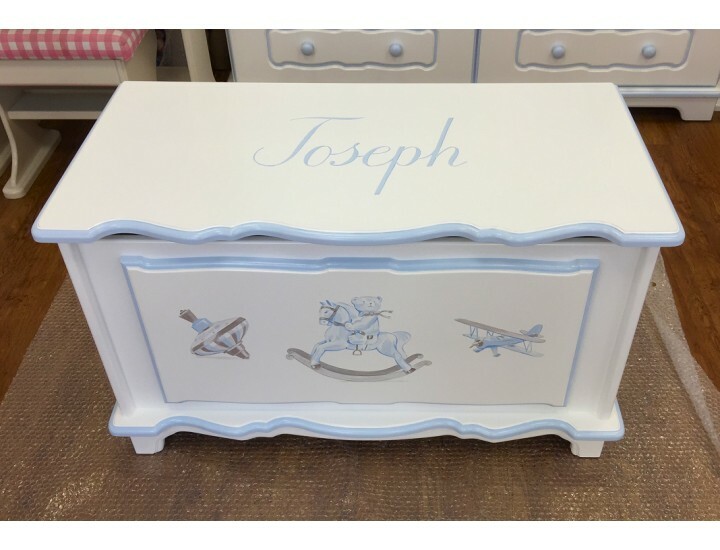 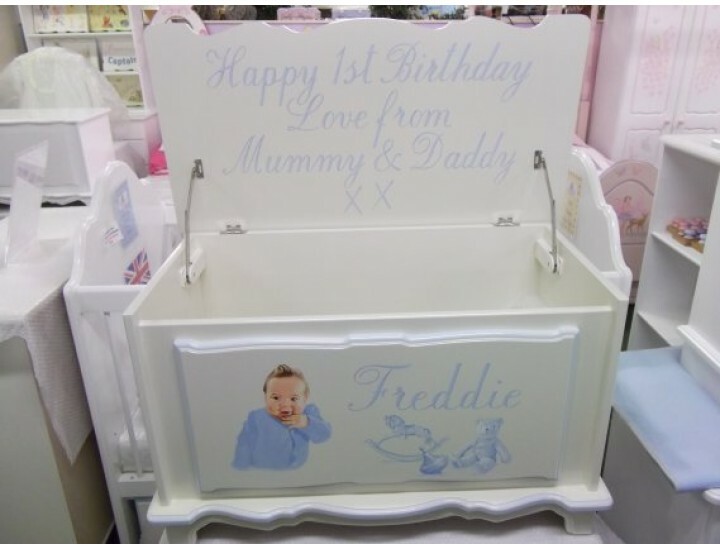 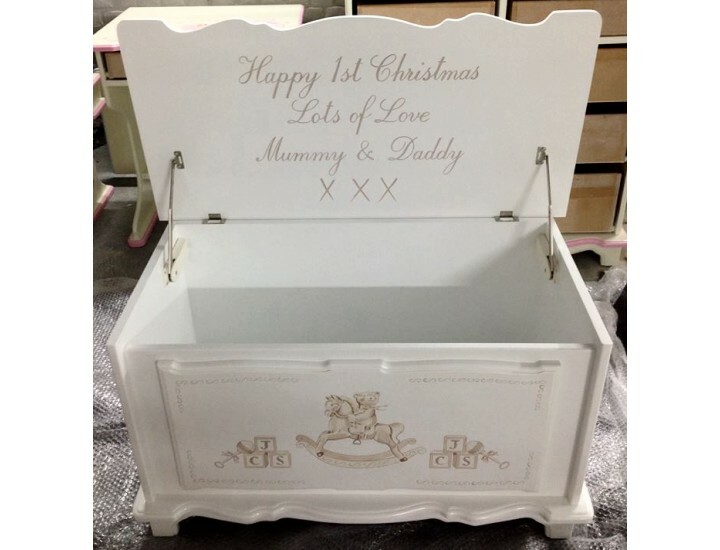 Toy boxes are often the focal point of a grandparent’s lounge and make the perfect gift for Birthdays, Christenings and Christmas.